 The abstracts of the 2019 ADM Meeting have already been published on a special issue of Dental Materials. Click here to see the publication. P1. Experimental Self-Adhesive Composites for Bulk-Fill Applications. P.P.A.C Albuquerque* 1, V.E. Salgado 2, C.E. Francci 1, A.C. Nishida 1, L.M. Cavalcante 2,3, L.F. Schneider 3,4 (1 University of São Paulo, Department of Dentistry, São Paulo, Brazil; 2 Salgado De Oliveira University, Niteroi, Rio De Janeiro Brazil; 3 Federal Fluminense University, Niteroi, Rio De Janeiro, Brazil; 4 Veiga De Almeida University, Rio De Janeiro, Brazil). P2. Effect of Photoinitiator System on Polymerization of Methacrylamides. L.M. Barcelos1*, M.G. Borges1, C.J. Soares1, M.S. Menezes1, A.P.P. Fugolin2, A. Dobson2, V. Huynh2, C.S. Pfeifer2 (1 Federal University of Uberlandia, Brazil; 2 Oregon Health and Science University, USA). P3. Thio-Urethane Addition effect on Sol-Gel Composition of Bis-GMA/TEGDMA Networks. M.G. Borges1*, L. Barcelos1, M.S. Menezes1, C.J. Soares1, A.P.P. Fugolin2, O. Navarro2, V. Huynh2, C.S. Pfeifer2 (1 Federal University of Uberlândia, Br, 2 Oregon Health and Science University, USA). P4. Novel Super-Speed Sintered Zirconia by Microwave Technology. N.C. Ramos 1,2*, M.R. Kaizer 1, J.N. Luz 2, L.C. Anami 3, V.P. Thompson 1, G.S.F.A. Saavedra 2, Y. Zhang 1 (1 New York University College of Dentistry, USA; 2 Sao Paulo State University – Sao Jose Dos Campos, Brazil; 3 Santo Amaro University, Brazil). P5. Non-Agglomerated Ionic Liquid-Stabilized Titania Quantum Dots in Adhesive Resin. I.M. Garcia* 1, V.S. Souza 2, C. Hellriegel 3, J.D. Scholten 2, F.M. Collares 1 (1 Federal Department of Conservative Dentistry, University of Rio Grande Do Sul, Porto Alegre, Brazil, 2 Institute of Chemistry, Federal University of Rio Grande Do Sul, Porto Alegre, Brazil, 3 Carl Zeiss Microscopy GmbH, Jena, Germany). P6. Effect of Zinc/Copper Nanoparticles on Bonding to Artificially Caries-Affected Dentin. M.F. Gutiérrez* 1,2, L. Mendez-Bauer 1, L.F. Alegría-Acevedo 1, A. Dávila-Sánchez 1,3, J. Bermudez 1, A. Nuñez 1, A. Reis 1, A.D. Loguercio 1, P.V. Farago 4, E. Fernandez 2,5 (1 School of Dentistry, State University of Ponta Grossa, Brazil; 2 Dentistry, University of Chile, Chile; 3 Department of Restorative Dentistry and Biomaterials, San Francisco De Quito University, Ecuador; 4 Department of Pharmaceutical Sciences, State University of Ponta Grossa, Brazil; 5 Instituto De Ciencias Biomédicas, Universidad Autónoma De Chile, Chile). P7. Chemical and Structural Characterizations of an Experimental Silica/Y-TZP Glass-Ceramic. V. Mosquim* 1, B.M. Ferrairo 1, C. A. Fortulan 1, P.N. Lisboa-Filho 2, A.G. Magdalena 2, F.M.L. Pontes 2, E.A. Bonfante 1, P.F. Cesar 1, A.F.S. Borges 1 (1 University of São Paulo, Brazil, 2 São Paulo State University, Brazil). P8. Dry-Bonding with Dimethyl Sulfoxide Pretreatments to Reduce Collagen Degradation. T.H.S. Stape 1*, R. Seseogullari-Dirihan 1, L. Tjäderhane 2, G. Abuna 3, L.R.M. Martins 3, A. Tezvergil-Mutluay 1 (1 University of Turku, Finland; 2 University of Helsinki, Finland; 3 Piracicaba Dental School Unicamp, Brazil). M1. DCPD-Containing Composites Prevent Secondary Caries: an In-Vitro Biofilm Model. A. C. Ionescu 1*, M.D.S. Chiari 2, V. Zambelli 3, R.R. Braga 2, Paolo Delvecchio 3, S. Scolavino 4, E. Brambilla 1 (1 Department of Biomedical, Surgical and Dental Sciences, University of Milan, Milan, Italy; 2 Dental Faculty, University of São Paulo, São Paulo, Brazil; 3 School of Medicine and Surgery, Università Degli Studi Di Milano Bicocca, Monza, Italy; 4 Private Dental Practice, Nola, Napoli, Italy). M2. Novel Strong Graded High-Translucency Zirconias for Broader Clinical Applications. M.R. Kaizer*, Y. Zhang (Department of Biomaterials and Biomimetics – New York University College of Dentistry, New York, USA). M3. Damage Tolerance in CAD/CAM Restorative Materials. C.B. Tanaka* 1, Y. Zhang 2, J.J. Kruzic 1 (1 School of Mechanical and Manufacturing Engineering, University of New South Wales, Sydney, Australia; 2 Department of Biomaterials and Biomimetics, New York University, New York, USA). Precision of Different Fatigue Methods for Predicting Dental Ceramic Failure. R Ottoni1*, PH Corazza1, A Della Bona1, JA Griggs2, M Borba1. (1University of Passo Fundo, Passo Fundo, Br; 2University of Mississippi Medical Center, USA). Challenges in Measuring Fracture Toughness of Dental Ceramics: SEPB Method. K.S. Jodha*, S.M. Salazar Marocho, J.A. Griggs (University of Mississippi Medical Center, Department of Biomedical Materials Science, Jackson, USA). Fracture Load of Fully Stabilized Zirconia with Different Thicknesses. G.L. Adabo* 1, D. Longhini 1, C.O.M Rocha 1, L.T. Oliveira 1, N.G. Olenscki 1, E.A. Bonfante 2 (1 Sao Paulo State University, Brazil, 2 University of Sao Paulo, Brazil). Porosity Analysis of Endodontic Cements after Phosphate Buffer Solution Storage. N. Aguiar*, GB Leoni, AFS Barbosa, IR Oliveira, YTC Silva-Sousa, LMS Castro-Raucci, W. Raucci-Neto, (Odontology, University of Ribeirão Preto, Ribeirão Preto, Brazil). Discrepancies of Zirconia Crowns under Different Preparations and Sintering Techniques. W. Ahmed *, A. Mccullagh, C. Wyatt, T. Troczynski, R. Carvalho (University of British Columbia, Canada). Clinical Performance of Bulk-Fill and Incremental Restorations in Endodontically-Treated Molars. R.A.S. Pereira, C.J. Soares, L.R.S. Oliveira, S.S.L. Braga, L.M. Barcelos, R.A. Deus* (Federal University of Uberlândia, Uberlândia, Brazil). Subsurface Microhardness of Affected Dentin after Biomidification with Phosphorylated Chitosan. G.S. Tanta 1, F.A. Curylofo-Zotti* 1, A.B. Reis 2, A.P. Macedo 1, A.E. Souza-Gabriel 1, S.A.M. Corona 1 (1 University of São Paulo, Brazil, 2 Federal University of Vale Do Jequitinhonha and Mucuri, Brazil). Strength and Reliability of Leucite versus Lithium Disilicate Glass ceramics. A.A. Alonso* 1,2, R. Belli 2, U. Lohbauer 2 (1 São Paulo State University (Unesp), Institute of Science and Technology, São José Dos Campos, Brazil, 2 University of Erlangen-Nuremberg, Research Laboratory for Dental Biomaterials, Erlangen, Germany). Wear of Zirconium-Reinforced Lithium Silicate Ceramic against Several Restorative Materials. L.M.M. Alves* 1, L.P.C. Contreras 1, T.M.B. Campos 2, M.A. Bottino 1, L.F. Valandro 3, R.M. Melo 1 (1 São Paulo State University, Br, 2 Aeronautics Technological Institute, Br, 3 Federal University of Santa Maria, Br). Mechanical Performance of CAD/CAM Materials Adhesively Bonded to NG10. I.S.S.L. Weitzel 1, M.P. Perim 1, J.H.R. Rangel 1, L.R. Silva-Concílio 1, A.L.S. Borges 2, R.M. Melo 2, M. Amaral* 1 (1 University of Taubate, Br, 2 Sao Paulo State University/SJC, Br). Dentin Pre-Treatment with EGCG SOLUTION: Long-Term Nanoleakage and Bond Strength. M.P.N. Fialho 1, R.P. Nogueira 2, F.G.M. França 1, C.P. Turssi 1, R.T. Basting 1, V. Hass 3, F.L.B. Amaral* 1 (1 São Leopoldo Mandic Dental School and Research Center, Brazil, 2 Florence Institute, Brazil, 3 Ceuma University, Brazil). Anti-Caries Agents Incorporation Effects on Color Shade of Composites. C.B. Andre* 1, P.L. Rosalen 1, J.L. Ferracane 2, M. Giannini 1 (1 Piracicaba Dental School – State University of Campinas, Br, 2 Oregon Health and Sciences University, USA). MMP Gene Expression and Bond Strength to Proanthocyanidin-Biomodified Air-Dried Dentin. G Anovazzi* 1, D.L.S. Scheffel 1, D.G. Soares 2, E.A.F. Bordini 1, C.A. De-Souza-Costa 1, J. Hebling 1 (1 School of Dentistry at Araraquara, Unesp- Univ Estadual Paulista, Araraquara, Brazil; 2 Bauru School of Dentistry, University of São Paulo, Bauru, Brazil). Bond Strength of Y-TZP to Resin Cements: Surface Treatment Effects. L. L. Arashiro* 1, Y. P. Correa 1, Q.C. Nguyen 2, P. F. Cesar 1, S. M. Salazar-Marocho 2 (1 Departament of Biomaterials and Oral Biology, University of São Paulo, São Paulo, Br, 2 Department of Biomedical Materials Science, University of Mississippi Medical Center, USA). TT-Farnesol-Containing Ionomeric Cement: Chemical Mechanical Characterization and S.Mutans Virulence. I.J.S. Araújo* 1, A.R.F. De Castilho 1, I.L. Kitagawa 2, P.N. Lisboa Filho 2, R.N. Stipp 1, P.L. Rosalen 1, R.M. Puppin-Rontani 1 (1 Piracicaba Dental School – State University of Campinas, Piracicaba, Brazil, 2 São Paulo State University, Department of Physics, Bauru, Brazil). Fatigue Testing Machine Design for Dental Ceramics: A Validation Study. P. Baldissara* 1 , C. Parisi 1, C. Castelletti 1, R. Scotti 1, V.F. Wandscher 2, R. Garcia Fonseca 3, L. Ciocca 1 (1 University of Bologna, Italy, 2 Franciscan University of Santa Maria, Brazil, 3 Araraquara Dental School, Araraquara, Sao Paulo, Brazil). Effect of Ceramic Bars Geometry on Flexural Strength. ASP Barcellos*, DY Toyama, KCA Perdigão, Js Miranda, AMO Dal Piva, JPM Tribst, ALS Borges, ET Kimpara (Unesp São José dos Campos, Brazil). Effect of Sandblasting Particle Size on Mechanical Properties of Zirconia. S. Barreto*1, RBW. Lima1, N. Alfrisany2, G. Collas3, T.Filleter3, CTD. Santos4, GMD. De Souza2, LAMS. Paulillo1 (1 Piracicaba School of Dentistry – State University of Campinas (Fop-Unicamp), Piracicaba, Br; 2 Faculty of Dentistry – University of Toronto (Uoft), Toronto, Ca; 3 Engineering Faculty – University of Toronto(Uoft), Toronto, Ca; 4 University of São Paulo (Esalq-Usp), Department of Statistical Mathematics of Luiz De Queiroz Higher School of Agriculture, Piracicaba, Br). Effect of Thermocycling on Bond Strength of Restorative Composites. I.M. Barros* 1, L.M.M. Alves 1, L.T. Yamamoto 2, R.N. Tango 1 (1 São Paulo State University, Br, 2 Santo Amaro University, Br). Flexural Strentgh and Reliability of CAD/CAM Materials for Dental Applications. M.A. Basílio 123*, E. Lima 1, A.B. Soares 3, P.F. Cesar 1 (1 University of São Paulo, Brazil, 2 Federal University of Bahia, Brazil, 3 Bahiana – School of Medicine and Public Health, Brazil). Physical Properties of Adhesive System Incorporated With Polyphenol-Enriched Extract. R. Casarotto 1, E.C. Bridi 1, M.A. Foglio 2, C.P. Turssi 1, F.M.G. França 1, F.L.B. Amaral 1, T.M. Silva 3, S.E.P. Gonçalves 3, R.T. Basting 1* (1 São Leopoldo Mandic Dental School and Research Center, Br, 2 University of Campinas, Br, 3 São Paulo State University, Br). Can Ferrule Effect Reduce Failures in Fiber Post-Retained Restorations? Meta-Analysis. N.A. Bastos* 1, D.M. Santos 2, Batista V.E.S. 2, A.J. Vechiato-Filho 2, S.B. Bitencourt 2, E.P. Pellizzer 2, M.C. Goiato 2, J.F.S. Bombonatti 1 (1 Bauru School of Dentistry, University of Sao Paulo, Bauru, Brazil 2 Sao Paulo State University (Unesp), School of Dentistry, Araçatuba, Brazil). Effect of Aging on the Optical Properties of ZTA Composites. E.B. Benalcazar Jalkh* 1, K.N.Monteiro 2, P.F. Cesar 2, L. Genova 3, P.N. Lisboa Filho 4, A.C.O. Lopes, 1 A.F.S. Borges 1, P.G. Coelho 5, 6,7, E.A. Bonfante 1 (1 Bauru School of Dentistry, University of São Paulo, Bauru, Brazil 2- School of Dentistry, University of São Paulo, Brazil 3 Institute of Research In Nuclear Energy, Brazil 4 Department of Physics, Unesp University, Bauru, Brazil 5 New York University College of Dentistry, New York, USA 6 NYU Langone Medical Center , New York, USA 7 NYU Tandon School of Engineering, New York, USA). Adhesion and Marginal Integrity of Bioactive Restorative Materials. A.R. Benetti*, S. Michou, L. Larsen, A. Peutzfeldt, U. Pallesen (University of Copenhagen, Department of Odontology, Copenhagen, Denmark), J.W.V. van Dijken (Dental School, Faculty of Medicine, Umeå University, Umeå, Sweden). Wear Behavior of Glass-Ceramic Systems after Different Finishing Procedures. E. Bergamo 1*, D. Bordin 2, R. Gomes 1, I. Ramalho 3, A. Lopes 3, P. Oliveira 4, L. Witek 5, P. Coelho 5, A. Cury 1 (1 Piracicaba Dental School University of Campinas, Brazil, 2 University of Guarulhos, Brazil, 3 Bauru School of Dentistry University of Sao Paulo, Brazil, 4 Ribeirao Preto School of Dentistry University of Sao Paulo, 5, New York University, NY, USA). Influence of Surface Treatment on Shear-Bond Strength of Zirconia Ceramic. L.J.R. Oliveira, L.C. Bernardo*, C.L. Mendes, C.P.P. Assis, M.S. Albuquerque, H. Anníbal, R. Braz (University of Pernambuco, Department of Restorative Dentistry, Brazil). Surface Treatments to Improve Repairs of Acrylic and Bis-Acryl Materials. F. Berretta* 1, K.N. Teixeira 1, J.M. Oliveira 1, L.T. Gama 1, C.R.O. Conceição 1, S. Bortolini 2, A.G. Philippe 1, T.M.S.V. Gonçalves 1 (1 Federal University of Santa Catarina, Florianópolis, Brazil, 2 University of Modena and Reggio Emilia, Modena, Italy). Mechanical Properties of Universal Adhesives Containing Zinc-Oxide and Copper Nanoparticles. M.F. Gutiérrez 1,2, A. Dávila-Sánchez 1,3, J. Bermudez 1, L. Mendez-Bauer 1,L.F. Alegría-Acevedo 1, A. Reis 1,A.D. Loguercio 1, P.V. Farago 4, C. Bersezio* 2, E. Fernández 2,5 (1 School of Dentistry, State University of Ponta Grossa, Ponta Grossa, Brazil, 2 Faculty of Dentistry, University of Chile, Santiago, Chile, 3 Department of Restorative Dentistry and Biomaterials, San Francisco De Quito University, 4 Department of Pharmaceutical Sciences, State University of Ponta Grossa, Ponta Grossa, Brazil, 5 Instituto De Ciencias Biomédicas, Universidad Autónoma De Chile). Endodontic Sealers Affect the Resistance Adhesive of Fiber Posts. TC Bohrer*1, PE Fontana1, VF Wandscher2, VHC Morari1, SS Dos Santos3, LF Valandro1, OB Kaizer1 (1 Federal University of Santa Maria, Restorative Dentistry Department, Santa Maria, Brazil 2 Franciscan University Center, Restorative Dentistry Department, Santa Maria Brazil. 3 Federal University of Santa Maria, Chemistry Department, Santa Maria, Brazil). Damage Tolerance of Translucent Zirconia after Chewing Simulation. M. Borba* 1, T. Okamoto 2, M. Zou 2, M. Kaizer 2, Y. Zhang 2 (1 University of Passo Fundo, Br, 2 New York University, USA). Abutment’s Screw Design Influences the Reliability of Implant-Supported Restorations. D. Bordin* 1, E. T. P. Bergamo 2, S. Saran 3, L. Witek 3, E. A. Bonfante 4, P. G. Coelho 3. (1 University Guarulhos, Br, 2 University of Campinas, Br, 3 New York University, USA, 4 University of São Paulo, Br). Lithium Disilicate Veneers Clinical Color Stability Evaluated by two Methods. I.B.L. Soares-Rusu, C.A. Villavicencio-Espinoza, N.A. Oliveira, L. Wang, H.M. Honório, J.H. Rubo, A.F.S. Borges* (Bauru School of Dentistry, Bauru, Brasil). Characterization and Cytotoxicity Analysis of Encapsulating Simvastatin in PLGA Microspheres. R.B. Curtarelli*, N.P.J. Pinto, G.R. Sumar, S. Dias, M.B. Sordi, R.S. Magini, A.C.C. Cruz (Federal University of Santa Catarina, Br). Does Hydrofluoric Acid Concentration Influence Fatigue of Feldspathic Restorations? A.B. Venturini* 1, C. Prochnow 1, G.K.R. Pereira 2, C.J. Kleverlaan 3, L.F. Valandro 1 (1 Federal University of Santa Maria, Br, 2 Meridional Faculty, Br, 3 University of Amsterdam and Vu University, Amsterdam, Nl). Degree of Conversion and Biaxial Flexural Strength of Composite Resins. G.B. Rauber*, L.N. Baratieri, J.K. Bernardon, I.M. Gindri, A.P. Santos, V.C. Ruschel, J.M. Moreira (Federal University of Santa Catarina, Br). Dicyclohexylcarbodiimide (DCC) Effect on Push-Out Bond-Strength and MMPs in Dentin. L. Breschi* 1, A. Comba 1, T. Maravic 1, A. Mazzoni 1, M.Cadenaro 2, G. Carpegna 3, M. Alovisi 3, N. Scotti 3 (1 University of Bologna, Italy; 2 University of Trieste, Italy; 3 University of Turin, Dental School-Italy). High-Fluoride Dentifrices Reduce Dentin Permeability. L.F.F. Brianezzi*1,2, M.M.A.C. Velo1, C.C.S.B.Melo 1, M.C. Giacomini* 1, R.S. Gonçalves 1, G.S. Zabeu 1, S.K. Ishikiriama 1, L. Wang 1 (1 Bauru School of Dentistry, University of São Paulo, Bauru, Brazil, 2 Avaré School of Dentistry, University Center of Southwest Paulista, Avaré, Brazil). Correlation between Fluoride Release and Acid Erosion of Glass-Ionomer Cements. L.S. Bueno* 1, R.S. Menezes 1, A.P. Magalhães 2, M.F.L. Navarro 1, R.C. Pascotto 3, S.C. Leal 4, M.A.R. Buzalaf 1, A.F.S. Borges 1 (1 São Paulo University, Br, 2 University From São Paulo (Unip), Br, 3 State University of Maringá (Uem), Br, 4 University of Brasília (Unb)). Strength Behavior of Veneered Zirconia after Different Surface Treatments. S. Butler* 1, B. Linke 2, J.A. Nychka 2 (1 Western University, London, Canada, 2 University of Alberta, Edmonton, Canada). Can a Multi-Mode Adhesive Substitute Silicatization+Silanization in Zirconia Ceramics? A.M.M. Araújo 1, A.B.N. Januário 1, D.M.D. Moura 1, P.S. Calderon* 1, J.P.M. Tribst 2, M. Özcan 3, R.O.A. Souza 1 (1 Federal University of Rio Grande Do Norte, Brazil, 2 São Paulo State University, Brazil, 3 University of Zurich, Switzerland). Antimicrobial Properties and Cytotoxicity of a Modified Polymer. K.P.L. Campos* 1, M.B. Portela 2, R. Hirata Jr 3, L.M.A. Cavalcante 2, D.M. Telles 1 (1 School of Dentistry, Rio De Janeiro State University – Uerj, Rio De Janeiro, Brazil, 2 School of Dentistry, Federal Fluminense University – Uff, Niterói, Brazil, 3 School of Medical Sciences, Rio De Janeiro State University – Uerj, Rio De Janeiro, Brazil). Influence of Preheating in Microhardness of Bulk Fill Composite Resins. PG Warmling*, FS Wolff, L Guerra, SB Silva, RG Machado (School of Dentistry, Federal University of Santa Catarina, Florianópolis, Br). Antimicrobial Effect of TiO2 Nanotubes Coating for Dental Implant. P. Capellato1*, A. P. R. A. Claro2, G. Silva3, C. A. C. Zavaglia(1,3 Unifei- Federal University of Itajubá, Brazil,2 UNESP- Univ. Estadual Paulista, Brazil,4 Unicamp- State Uni. of Campinas, Brazil). Is Alveolar Biomechanical Balance Restored after Periodontal Therapy? A Vector-Numerical Analysis. P. Capetillo*1,2 (1 Department of Dental Biomaterials, Faculty of Dentistry, University of Sao Paulo; 2 Faculty of Dentistry, Institute of Research in Dentistry Sciences, University of Chile). Evaluation of Bromelain as a New Dentin Pre Treatment. C.L. Capillé*, J. Cuccinelo, K. Martins, E.M. Silva, M.B. Portela (Federal Fluminense University). Effect of a Proanthocyanidin Mouthrinse on Dentin Erosion. F. Cardoso* 1, A. P. Boteon 1, T. A. P. Da Silva 1, T. L. Bueno 1, A. Prakki 2, L. Wang 1, H. M. Honório 1 (1 Bauru School of Dentistry, University of São Paulo, Bauru, Brazil, 2 Faculty of Dentistry, University of Toronto, Toronto, Canada). Influence of Different Irrigation Solutions to Clean the Post Space. T.R.L. Macário1, P.B.A. Domingues1, A.S.P. Barcellos2, R.B. Junqueira1, R.F. Carvalho*1 (1 Federal University of Juiz De Fora-Governador Valadares, Br, 2 Paulista State University-São José Dos Campos, Br). Curing Cycle Effect on Complete Dentures Porosities: OCT Evaluation. BGS Casado* 1, SLD Moraes 1, GQM Monteiro 1, RS Leao 1, ASL Gomes 2, SL Campello 2, (1 University of Pernambuco, Brazil, 2 Federal University of Pernambuco, Brazil). Coupling Agents Heat-Treatment Effect on Resin Cement/Y-TZP Bond Strength. C.M.Cascante* 1,2, I. Villacís 1,2, L.H Silva 3, L.M Campaner3, I.S. Medeiros 1 (1 University of São Paulo, São Paulo, Brazil 2 Universidad Central Del Ecuador, Ecuador 3 Universidade Cidade De São Paulo (Unicid), Brazil). Immunomodulatory Potential of Silver-Doped Bioactive Glasses Microparticles in Human Leukocytes. J.M. De Lima 1, E.P Ferreira 1, R.F. Bonan 1, D.N. Silva-Teixeira 2, L.R. Goulart 3,4, J.R. Souza 1, E.S. De Medeiros 1, P.R.F. Bonan 1, L.R.C. Castellano * 1, (1 Federal University of Paraíba, João Pessoa, Brazil, 2 Federal University of Triângulo Mineiro, Uberaba, Brazil, 3 Federal University of Uberlândia, Uberlândia, Brazil, 4 University of California, Davis, USA). Effect of Toothbrushing with Fluoride-Containing Dentifrices on Ceramic Optical Properties. F. Bidoli 1, E. Castro *1, V.L.B. Azevedo 1, G. Nima 1, O.S. De Andrade 2, M. Giannini 1 (1 State University of Campinas, Piracicaba, Brazil, 2 National Service of Commercial Learning (Senac), São Paulo, Brazil). Thiourethane-Functionalized Fillers: Characterization in Model Composite Materials. A.B.Ramos 1, D.C.Silva 2, G.G.Alves 2, R.Hirata-Júnior 3, L.F.J Schneider 4, C.S. Pfeifer 5, L.M.Cavalcante* 4,6 (1 Federal Fluminense University – Uff, Niterói, Brazil 2 Institute of Biology, Federal Fluminense University – Uff, Niterói, Brazil 3 Faculdade De Ciências Médicas, Universidade Do Estado Do Rio De Janeiro , Rio De Janeiro, Brazil. 4 Federal Fluminense University – Uff, Niterói, Brazil, 5 Biomaterials and Biomechanics, Oregon Health and Science University, Oregon, USA, 6 Brazil and Nucleus for Dental Biomaterials Research, Veiga De Almeida University – Uva, Rio De Janeiro, Brazil). Violet Led Bleaching: Efficacy and Enamel Surface Morphology Analysis. M.Kury 1, B. Rezende 1, B.C. Mendonça 1, E.F. De Castro 1, F. A.Rueggeberg 2, M. Giannini 1, V. Cavalli 1* (1 University of Campinas, Piracicaba Dental School, Br; 2 Augusta University, USA). Ca(OH)2 Sustained Release From a Cactus Extract Vehicle. B.I. Cerda-Cristerna*, J.L Suárez-Franco, A. Tlaxcala-Tlaxcala, M.V. Hernández-Mixteco (Universidad Veracruzana Región Orizaba-Córdoba, México). Effect of Oxidizing Agents on Bond of New Self-Adhesive Cement. L. Chen*, J. Yang, B.I. Suh (Bisco Inc, USA). Development of a Phosphoric Acid Containing Proanthocyanidin as Cross-Linker Agent. Y.C. Del Rey* 1, L.M.R. Roselino 1, R. França 2, C. Fiuza 2, A.C.B.C.J. Fernandes 2 , R.G. Palma-Dibb 1 (1 University of Sao Paulo, Department of Restorative Dentistry, Ribeirão Preto, Brazil, 2 University of Manitoba, Department of Restorative Dentistry, Winnipeg, Canada). Does a Self-Etch-Glass-Ceramic-Primer Etch Feldspathic Ceramic? A FE-SEM Analysis. B. Chrispim*1, Dr Consoni 1, Cl Baratieri 1, J Perdigão 2, GC Lopes 1 (1 Federal University of Santa Catarina, Br, 2 University of Minnesota, USA). Does MDP-Based Adhesive Associated with Chloerhexidine affect Bonding to Dentin? M.C. Giacomini* 1, P.M.C. Scaffa 1, R.S. Gonçalves 1, G.S. Zabeu 1, M.A.S. Agulhari 1, J.C. Jacomine 1, C.M.P. Vidal 2, M.R.O. Carrilho 3, H.M. Honório 1, L. Wang 1. (1 Bauru School of Dentistry, University of São Paulo, Bauru, Brazil; 2 College of Dentistry, University of Iowa, Iowa City, USA; 3 Research Faculty College of Dental Medicine – Illinois, Midwestern University, USA). Antibacterial Activity of Dental Composite: Four Months Evaluation. L.T.S. Silva1, K. Cogo-Muller2, L.C. Anami1, L.M.P. Campos3, D. Parra3, L.C.C. Boaro1* (1- Universidade Santo Amaro, Brasil; 2-Unicamp, Brasil; 3-Ipen/USP, Brasil). CAD/CAM or Conventional Ceramic Restorations Longevity: Systematic Review and Meta-Analysis. J.A.D. Coelho*, S.B. Rodrigues, P. Franken, R.K. Celeste, V.C.B. Leitune, F.M. Collares (Federal University of Rio Grande Do Sul). Carbodiimide effect on MMPs and Hybrid-Layer Micro-Hardness in Radicular Dentine. A. Comba*1, T. Maravic 1, A. Mazzoni 1, L. Breschi 1 , G. Serino 2, A. Audenino 2, M Cadenaro 3, M. Alovisi 4, N. Scotti 4 (1 University of Bologna, Dibinem; 2 Politecnico Di Torino, Department of Mechanical and Aerospace Engineering; 3 University of Trieste; 4 University of Turin, Department of Surgical Sciences). Influence of Occlusal Splint on Implant-Supported Fixed Dental Prosthesis (FEA). L.R. Silva-Concilio* 1, M.N. Henrique 1, R.A. Caldas 2, M. Amaral 1, R.P. Vitti 1 (1 University of Taubaté, Br – 2 State University of Campinas, Br). Bioglass Air-Abrasion Influences Bonding and Conversion of an Etch-And-Rinse Adhesive. K.E. Moura 1*, T.O. Rifane 1, L.K. Solheiro 1, F. Silvestre 1, A.M.P. Ponte 1, M.M. Moreira 1, M.T. Souza 2, E.D. Zanotto 2, S. Sauro 3, V.P. Feitosa 1 (1 School of Dentistry, Paulo Picanço Fortaleza, Brazil, 2 Department of Materials Engineering, Federal University of São Carlos, São Carlos, Brazil, 3 Dental Biomaterials, Preventive & Minimally Invasive Dentistry, Ceu Cardenal Herrera University, Valencia, Spain). Flexural Strength and Flexural Modulus of Urethane Resin-Based Resin Composites. A.B. Correr*, J.P. Curtulo, M.A.C. Sinhoreti, L. Correr-Sobrinho (Piracicaba Dental School, University of Campinas, Piracicaba, Br). Effect of Resin-Cements Containing Thio-Urethane on Bond Strength after Aging. L. Correr-Sobrinho* 1, A.R. Costa 1, A.P. Fugolin 2, L.P.S. Borges 1, J.L. Ferracane 2, C.S. Pfeifer 2 (1 Restorative Dentistry, State University of Campinas, Piracicaba, Br, 2 Restorative Dentistry, Oregon Health & Science University, Portland, USA). Cleaning Methods and Contamination with Saliva/Blood Affects Ceramic Bond Strengths. A.R. Costa* 1, R. Araújo Jr. 1, D. Sundfeld Neto 2, J Puppin-Rontani 1, A.B. Correr 1, L. Correr-Sobrinho 1 (1 Restorative Dentistry, State University of Campinas, Piracicaba, Br, 2 Centro Universitário Ingá, Dentística E Prótese, Maringá, Br). Two-Year Clinical Evaluation of Proanthocyanidins Added to an Adhesive System. D.A. Cunha* 1, N.S. Rodrigues 1, L.C. Souza 1, V.P. Feitosa 1, S.L.Santiago 1, A.Reis 2, A.D.Loguercio 2,J.Perdigão 3 V. Saboia 1 (1 Federal University of Ceará, Br, 2 State University of Ponta Grossa, Br, 3 University of Minnesota, USA). Enzymatic Activity of the Hybrid Layer of Irradiated Teeth. SR Cunha*1,2, T Maravic1, AA Comba1, AC Aranha2, ER Fregnani3, G Tetti1, L Breschi1 A Mazzoni1 (1University of Bologna, Italy; 2University of Sao Paulo, Brazil; 3Hospital Sírio Libanês, Brazil). Drug-Delivery at Endodontic Materials: In Vitro and In Vivo Behavior. M. Cuppini* 1, K.C. Zatta 2, L.B. Mestieri 1, F.S. Grecca 1, V.C.B. Leitune 1, S.S. Guterres 2 and F.M. Collares 1. (1 School of Dentistry, Universidade Federal Do Rio Grande Do Sul, Porto Alegre, Brazil; 2 School of Pharmaceutical Sciences, Universidade Federal Do Rio Grande Do Sul, Porto Alegre, Brazil). Physical and Adhesion Properties of Bulk-Fill Composites. B. C. Mendonça*1, F. Rueggeberg 2, R. R. Braga 3, J. Soto 1, M. Sebold 1, G. M. B. Ambrosano 4, M. Giannini 1 (1Department of Restorative Dentistry, University of Campinas, Piracicaba, Brazil, 2Department of Restorative Sciences, Dental College of Georgia, Augusta University, USA, 3Department of Biomaterials and Oral Biology, University of Sao Paulo, Sao Paulo, Brazil, 4Department of Social Dentistry, University of Campinas, Piracicaba, Brazil). Universal Adhesive System and Resin-Based Fissure Sealant Sorption and Solubility. G. Botton, L.S. Da Rosa*, F.M.Z. Soares, R.O. Rocha (Federal University of Santa Maria, Br). Bond Strength of Recycled Metallic Brackets after Different Surface Treatments. R. G. Viana 1, N. F. Piller 1, L. M. Campaner 1, F. A. Maeda 1, T. Triviño 1, P. F. Cesar 2, L. H. Silva* 1 (1 Universidade Cidade De São Paulo, Brazil, 2 Universidade De São Paulo, Brazil). Anti-Proteolytic Agents on Shear Bond Strength: Systematic Review and Meta-Analysis. F.S. Camim*, M. Vertuan, D.C. Santin, R.F.L. Mondelli, L. Wang, H.M. Honório (Bauru School of Dentistry, University of São Paulo, Bauru, Brazil). Translucent Zirconia: Mechanical Reliability, Fatigue Strength, Survival and Phase Analysis. G.K.R. Pereira 1,2, L.F. Guilardi 2,3, K.S. Dapieve* 2, C.J. Kleverlaan 3, M.P. Rippe 2, L.F. Valandro 2 (1 Meridional Faculty, Imed, Passo Fundo, Brazil 2 Faculty of Odontology, Federal University of Santa Maria, Santa Maria, Brazil 3 Academic Centre for Dentistry Amsterdam (Acta), Universiteit Van Amsterdam and Vrije Universiteit, Amsterdam, the Netherlands). Antimicrobial Potential of Resin Matrices with Coffee Compounds. S De Almeida* 1, L Poskus 1, J Ferracane 2, J Noronha 1, A Mushashe 3, J Merritt 2, R Velloso 1 (1 Universidade Federal Fluminense, Br, 2 Oregon Health & Science University, 3 Universidade Positivo, Br). Effect of Removal of Temporary Cement on Zirconia-Dentin Bond Strength. G.M. Araújo1*, D.M.D. Moura1, T.E.L. Vila-Nova1, I.H.G. Carvalho1, A.H. Veríssimo1, A.B.N. Januário1, S.E.G. Silva1, K.B. Souza1, A.M.O. Dal Piva2, R.O.A. Souza1. (1 Federal University of Rio Grande Do Norte, Natal, Brazil; 2 State University of São Paulo, São Paulo, Brazil). Niobium Silicate as Filler Particle on Experimental Photopolymerizable Resin Cement. E.Z. Figueiredo*, G.S.Balbinot, F.M. Collares, V.C.B. Leitune, S.W. Samuel. (School of Dentistry, Federal University of Rio Grande do Sul, Porto Alegre, Brasil). Long-Term Effectiveness of CAD/CAM Materials Provided by Self-Etching Silane Primer. M. De Goes1*, F. Murillo-Gómez2 (1Piracicaba Dental School, University of Campinas, Brazil; 2 School of Dentistr, University of Costa Rica, San José, Costa Rica). Can Protease Inhibitors Stabilize the Adhesive Interface after Cariogenic Challenge? R.V. De Paiva*, J.C. Dos Santos, A.V. Dos Reis, G.B. Santos, E.M. Da Silva, M.B. Portela (Federal Fluminense University, Niteroi, Br). Clinical Evaluation of Restorations in Cervical Lesions with Copper-Containing Adhesive. T.P. Matos* 1, T.A. Hanzen 1, M.F. Gutiérrez 1,2, P. Malaquias 1, A.M. De Paula 1, A. Serrano 1, J.J De Souza 1, V. Hass 3,4, A.D Loguercio 1 (1 School of Dentistry, State University of Ponta Grossa, Ponta Grossa, Brazil, 2 Faculty of Dentistry, University of Chile, Santiago, Chile, 3 University Ceuma, São Luís, Brazil, 4 State University of West Paraná, Cascavel, Brazil). Pre-Treatment Using Natural Collagen Cross-Linkers on Dentin Bonding and Biomodification. D.M. De Paula 1,2*; A.M.P. Da Ponte 1, M.P. De Lima 1, D. Lomonaco 3, S.E. Mazzetto 3, V.P. Feitosa 1,2 (1 Paulo Picanço School of Dentistry, Fortaleza, Brazil; 2 Dental School, Federal University of Ceará, Fortaleza, Brazil; 3 Department of Organic and Inorganic Chemistry, Federal University of Ceará, Fortaleza, Brazil). Retention Rates of Cervical Restorations: A Systematic Review and Meta-Analysis. A.M Paula* 1, T.F. Boing 2, L.M. Wambier 3, T.A. Hansen 1, A.D. Loguercio 1, A. Reis 1 (1 State University of Ponta Grossa, Br, 2 Guairacá College, Br, 3 Positivo University, Br). Dentin Bimodification with EGCG: Two-Year Clinical Evaluation. A.M.B. De Souza* 1,2, C.A.G.A. Costa 1,2, N.L.A. Guimarães 1,3, A.L.M. Mota 1, J.S. Mendonça 1, A.D. Loguercio 4, V.P.A. Sabóia 1, S.L. Santiago 1 (1 Federal University of Ceará, Br, 2 University of Fortaleza, Br, 3 University Center of Christus, Br 4 State University of Ponta Grossa, Br). Synthesis of Sol-Gel Derived Calcium Silicate with Calcium Tungstate Addition. GS Balbinot*, BV Cezimbra, VCB Leitune, FM Collares (Universidade Federal do Rio Grande do Sul, Porto Alegre, Br). Remineralization of Early Caries Lesion by Application of Different Materials. A. N. S. Rastelli *1, A. C. P. Barros 1, M. T. Souza 2, O. Peitl 2, E. D. Zanotto 2 (1 School of Dentistry, University of São Paulo State Araraquara, Araraquara, Brazil, 2 Materials Engineering Department, Federal University of São Carlos – Ufscar, São Carlos, Brazil). The Effect of Ionizing Radiation on Monolithic Zirconia. A.A. Alshamrani, G.M. De Souza* (Faculty of Dentistry, University of Toronto, Canada). Effect of Bromelain Gel on Demineralized Dentin Bond Strength. G.D.T.B. Ferreira* 1, E.F. Martinez 2, R.T. Basting 3 (1 University of Amazon State, Brazil; 2 São Leopoldo Mandic Institute College, Brazil). Optical Coherence Tomography in Evaluation of Veneer’s Cementation Layer. T.J.C. Dias* 1, C.C.B.O. Mota 2, L.O. Fernandes 1, P.F.C.Silva 1, S.L.Campelo 5, L.S.A. Melo 1, N.S.M. Pires 1, A.S.L. Gomes 1 (1 Universidade Federal De Pernambuco, Brazil, 2 Faculty of Dentistry Centro Universitário Tabosa De Almeida, Brazil). Bonding of Silanes to a Glass-Ceramic with and without Etching. M.Dimitriadi*, M. Zafeiropoulou, G.Eliades (National and Kapodistrian University of Athens, School of Dentistry, Greece). TiO2 Nanotubes Incorporation in Y-TZP Surface: Synthesis, Characterization and Biocompatibility. A.F. Santos* 1, F.S. Lucena 1, A.Y. Furuse 1, P.N. Lisboa-Filho 2, A.F.S. Borges 1 (1 Bauru School of Dentistry, University of São Paulo, Bauru, Br; 2 School of Sciences, São Paulo State University, Department of Physics, Bauru, Br). Color Stability and Roughness of Cover Materials over Composite Resin. L.S. Cortopassi*, S.J.C. Bezerra, C.A.K. Shimokawa, M.A.P. Sobral (Department of Restorative Dentistry, University of São Paulo, São Paulo, Brasil). Influence of Protease Inhibitors on Sound, Sclerotic and Caries-Affected Dentin. P.H. Dos Santos *1, B. Oliveira-Reis 1, A.T. Maluly-Proni 1, H.B.S. Sahyon 1, G. Vasconcelos 2, E. Bresciani 1, A. Prakki 3, A.L.F. Briso 1, T.C. Fagundes 1 (1 São Paulo State University, Brazil, 2 Institute of Advanced Studies of São José Dos Campos, Brazil, 3 University of Toronto, Canada). Diphenyl-Iodonium Modulating Properties of Resins with Low Concentrations of Camphorquinone. D. Dressano* 1, M. Hadis 2, L. S. Gonçalves 3, D. C. Watts 4, W. M. Palin 2, G. M. Marchi 1, A. F. Lima 5 (1 Department of Restorative Dentistry, State University of Campinas, Brazil, 2 College of Medical and Dental Sciences, Institute of Clinical Studies, University of Birmingham, UK, 3 Department of Conservative Dentistry, Federal University of Rio Grande Do Sul, Brazil, 4 School of Medical Sciences and Photon Science Institute, University of Manchester, Manchester, UK, 5 Dental Research Division, Paulista University, Sao Paulo, Brazil). Repair of Resin Nanoceramic: Effect of Aging and Surface Treatments. D.M.D. Moura* 1, A.B.N. Januário 1, A.H. Veríssimo 1, A.M.O. Dal Piva 2, G.M. Araújo 1, T.E. L. Vila-Nova 1, S.E.G.Silva 1, I.H.G. Carvalho 1, K.B. De Souza 1, R.O.A. Souza 1 (1 Department of Dentistry, Federal University of Rio Grande Do Norte (Ufrn), Natal, Brazil; 2 Institute of Science and Technology, São Paulo State University (Unesp), São José Dos Campos, São Paulo, Brazil). Aesthetic and Biological Analysis of an Experimental Tooth-Bleaching Gel. CCO Duque*1, DG Soares 2, MLAS Leite1, G Anovazzi 1, UO Zuta1, EAF Bordini1, J Hebling 1, CA De Souza Costa 1 (1 University of the State of São Paulo – Unesp, Araraquara, Brazil, 2 University of São Paulo – Usp, Bauru, Brazil). Polymerization of Dual Resin Cements Light-Cured Through Different Ceramic Materials. L. Fanfoni*1, G. Marchesi 1, F. Baccarini 1, G. Turco 1, L. Breschi 2, M. Cadenaro 1 (1 University of Trieste, Italy, 2 University of Bologna, Italy). Water Sorption, Solubility and Dentin Bonding of Experimental Self-Adhesive Composites. VP Feitosa 1,2*, BM Costa 1, DM De Paula 1, FM Milan 2, S Sauro 3 (1 Restorative dentistry Department, Federal University of Ceará, Fortaleza, Brazil, 2 Research Division, Paulo Picanço School of Dentistry, Fortaleza, Brazil, 3 Department of Dental Biomaterials and Minimally Invasive Dentistry, University Ceu-Cardenal Herrera, Valencia, Spain). Nanoparticulation and Characterization of Natural Hydroxyapatite Originated From Bovine Bone. B.M. Ferrairo*1, V. Mosquim1, L.A. Pires1, PF Cesar2; C. A. Fortulan3; P.N. Lisboa-Filho3; A.G. Magdalena4; F.M.L. Pontes4; A.F.S. Borges1; J.H. Rubo1. (1 Bauru School of Dentistry, University of São Paulo, Bauru, Brazil; 2 School of Dentistry, University of São Paulo, , São Paulo, Brazil; 3 São Carlos School of Engineering, University of São Paulo, São Carlos, Brazil; 4 School of Science, São Paulo State University, Bauru, Brazil). Failure Load of Fatigued CAD/CAM Endocrowns: Material And Thickness Effect. C.F.L. Madruga*, J.P.M. Tribst, A.M.O. Dal Piva, E. Bresciani, M.A. Bottino, R.M. Melo (Institute of Science and Technology, São Paulo State University (Unesp), São José Dos Campos, Brazil). Phase, Roughness And Young’s Modulus Of Y-TZP Ceramic after Grinding. L. Fiorin*, I.C.M. Moris, A.C.L. Faria, R.F. Ribeiro, R.C.S. Rodrigues (Ribeirão Preto Dental School, University of Sao Paulo, Br). Contemporary Composites SEM Polishing Quality and Surface Porosity Level. N.F. Coelho*, R.Q. Ramos, R.M. Gondo, D.R. Consoni, G.C. Lopes (Federal University of Santa Catarina, Brazil). Chlorhexidine-Containing Phosphoric Acid Compromises Bonding Stability of Universal Adhesive. L.S. Da Rosa, A.C. Follak*, T.L. Lenzi, R.O. Rocha, F.Z.M. Soares (Department of Restorative Dentistry, Federal University of Santa Maria, Santa Maria, Brazil). Bonding Effectiveness of Multi-Mode Adhesive to Pre-Etched Dentine. C.T.P. Araújo 1, J.F.B. Fonseca* 1, K.C. Santos 1, G. Abuna 2, A.B Meirelles 1, S.P.A. Guimarães 1, L.T. Prieto 2, A.C. Dayrell 1 (1 Federal University of Jequitinhonha and Mucuri Valley, Brazil, 2 State University of Campinas, Brazil). Ferrule Thickness on Fracture Resistance of Teeth Restored with Posts. P.E. Fontana* 1, T.C. Bohrer 1, V.F. Wandscher 2, L.F. Valandro 1, I.F. Limberger 1, O.B. Kaizer 1 (1 Federal University of Santa Maria, Santa Maria, Brazil, 2 Franciscan University, Santa Maria, Brazil). Influence of Bulkfill Composite Viscosity on Microhardness and Fracture Resistance. F.M.G. França*, I.P. Broglio, L.E.J. Paiva, R.T. Basting, C.P. Turssi, F.L.B. Amaral (São Leopoldo Mandic Institute and Dental Research Center). Mechanical Characterization of Lithium-Disilicate Glass-Ceramics by Nanoindentation. CT Fiuza, M Aramfard 2, C Deng 2, R França* (University of Manitoba, Winnipeg, Manitoba, Canada). Effect of Bioactive Glasses for Controlling Enamel Erosion. A. Freire*1,2, B.P. Nyland 2, C.P. Pereira 2, P. Soares 2, D.S.L. Weiss 2, W.L. Mikos 3, J.A. Brancher 2, S. Vieira 2 (1 Universidade Federal De Mato Grosso Do Sul, Br; 2 Pontifícia Universidade Católica Do Paraná, Br; 3 Universidade Tecnológica Federal Do Paraná, Br). Effect of Brushes Cleanliness with Different Substances on Composite Resins. M.S. Freitas*, R.V. Monteiro, V.C. Ruschel, J.K. Bernardon, S.Jr. Monteiro (Department of Dentistry, Federal University of Santa Catarina, Florianópolis, Brazil). Refractive Index Matching Effect on Depth of Cure Of Composites. B.M. Fronza *1, S. Lewis 2, P. Shah 2, M. Giannini 1, J. Stansbury 2 (1 University of Campinas, Br, 2 University of Colorado, USA). Adhesive Performance of Universal Adhesives Containing Zinc-Oxide and Copper Nanoparticles. Gutiérrez MF1,2, Alegría-Acevedo LF1, Mendez-Bauer L1, Bermudez J1, Dávila-Sánchez A1,3, Reis A1, Loguercio AD1, Farago PV4, Fernandez E*2,5 (1 School of Dentistry, State University of Ponta Grossa, Ponta Grossa, Br; 2 Faculty of Dentistry, University of Chile, Santiago, Chile; 3 Department of Restorative Dentistry and Biomaterials, San Francisco De Quito University 4 Department of Pharmaceutical Sciences, State University of Ponta Grossa, Ponta Grossa, Br; 5 Instituto De Ciencias Biomédicas, Universidad Autónoma De Chile, Chile). The effect of Air Stream Flow on Ceramic/Resin Bond Strength. G. A. Galhano*, B.C.T Silva, L. V. S Cota, L. M. S Alves, R.L Prado, L. S. A. Matuda (University of Western Sao Paulo, Br). Guanidine Solution as a New Fungicidal for Heat-Polymerized Acrylic Resins. M.E.R. Gama*, I.M. Garcia, S.B. Rodrigues, V.C.B. Leitune, F.M. Collares (UFRGS, Porto Alegre, Br). Virtual Articulator Accuracy in Determination of Occlusal Contacts. I García 1 *, K Zurita 1, L Bohner 2, D Gamba 2, C Pannuti 2, K Roberta 2, D Marques 2, PT Neto 2 (1 Universidad Central Del Ecuador, Ecuador, 2 Universidade De São Paulo, Brazil). Influence of Infiltrant Application Time on Caries Lesions Opaqueness. G.G. De Carvalho* 1, A.C. Pires 2, F.B. De Sousa 3 (1 São Paulo State University, Araraquara, Br; 2 Paraíba State University, Campina Grande, Br; 3 Federal Unirsity of Paraíba, João Pessoa, Br). Effects of Light-Activation Time on Flexural Strength of Bulk-Fill Composites. B.C. Mendonça 1, F.A. Rueggeberg 2, E.F. Castro 1, M. Kury 1, V. Cavalli 1, M. Giannini* 1 (1 University of Campinas, Brazil, 2 Augusta University, USA). Bond Strength of Water-Free Adhesive Systems to Cross-Linked, Air-Dried Dentin. L.N. Gomes*, M. Citta, G. Anovazzi, C.A. De Souza Costa, J. Hebling (Araraquara School of Denstry, São Paulo State University, Araraquara, Br). BioGran® Funtionalized with PTH(1-34) on Peri-Implant Defect in Orchiectomized Rats. PHS Gomes-Ferreira* 1, AC Silva 2, O Bim-Júnior 2, Fr De Souza-Batista 1, D Oliveira 1, IR Garcia-Junior 1, PR Botacin 1, PN Lisboa-Filho 2, R Okamoto 1 (1 São Paulo State University, Araçatuba Dental School, Araçatuba, Brazil; 2 São Paulo State University, School of Sciences, Bauru, Brazil). Evaluation of Conversion and Cytotoxicity of New Bioactive Composites. D.P. Lopes 1, M.S.A. Moreira 1, L.H. Catalani 2, R.R. Braga 3, F. Gonçalves* 1 (1- University Ibirapuera, São Paulo, Brazil; 2 Institute of Chemistry,University of São Paulo, São Paulo, Brazil; 3 School of Dentistry, University of São Paulo, São Paulo, Brazil). Surface Properties of Soft Relining Material Incorporated with Plant Extract. B.L.C. Gondim* 1, L.R.C Castellano 2, R.A. Tibau 2, E.S. De Medeiros 2, A.U.D. Batista 2, A.C.D. De Medeiros 1 (1 State University of Paraíba, Campina Grande, Brazil, 2 Federal University of Paraíba, João Pessoa, Brazil). Translucency of Dental Ceramics for Monolithic Restorations. C.M.A. Carneiro, B.P. Gugelmin, R.C. Hintz, G.M. Correr, L.F. Cunha, C.C. Gonzaga* (Graduate Program In Dentistry, Universidade Positivo, Brazil). Fracture Resistance of Restored Teeth with Differents Resins Composites. L. Guerra* 1, S.Jr. Monteiro 1, S.S. Favero 2, Cesar P.F 2, J.K. Bernardon 1. (1 Federal University of Santa Catarina, Dentistry, Florianópolis, Brazil, 2 University of São Paulo, Dental Materials, Brazil). Cytocompatibility, Bioactivity, and Antimicrobial Activity of Experimental Calcium-Silicate Sealer. J.M. Guerreiro-Tanomaru*, C.L. Zordan-Bronzel, E.M. Rodrigues, G.M. Chávez-Andrade, G. Faria, M. Tanomaru-Filho (Restorative Dentistry, São Paulo State University, Araraquara, Brazil). Effect of Copper-Containing Universal Adhesive Bonding in Different Substrates. T.A. Hanzen* 1, T.P. Matos 1, A.M. Paula, 1, M.F. Gutiérrez 1,2, P. Malaquias 1, F.S.F. Siqueira, 3, A.F.M. Cardenas, 3, A.D. Loguercio 1 (1 School of Dentistry, State University of Ponta Grossa, Ponta Grossa, Brazil; 2 – Institute for Research In Dental Sciences, Faculty of Dentistry, University of Chile, Santiago, Chile. 3 – Undergraduate and Post-Graduate Department, University Ceuma, São Luís, Brazil). Novel Self-Adhesive Composites: Chemical and Microstructural Comparisons to Commercial Materials. A.H.S. Delgado*, A. Almusa, Y. Eshmawi, W. Xia, P. Ashley, A. Young (Eastman Dental Institute, University College London, UK). Surface Treatments of Y-TZP: Effects on Optical Properties after Staining. B.D. Ilha*, C.P. Zucuni, L.B. Jacques 1, F.Z.M. Soares, L.G. May (Federal University of Santa Maria, Santa Maria, Brazil). Anticariogenic Potential and Quantification Mineral the Enamel Around Restorative Materials. IF Leão *, JFS Bombonatti 1, NA Oliveira 1, NA Bastos 1, FK Rhoden 2, QN Sonza 2, MFA Freitas 2 (1 Department of Operative Dentistry, University of São Paulo, Bauru, Brazil, 2 Department of Operative Dentistry, Fasurgs, Passo Fundo, Brazil). Ceramics Glossiness by Different Polishing Methods. A. Ishikawa* (General Dentistry, The Nippon Dental University Hospital, Tokyo, Japan). MDP-Based Bonding System and Interactions with Demineralized Dentin Substrate. J.C. Jacomine*, M.C. Giacomini, M.A.S. Agulhari, G.E. Zabeu, P.M.C. Scaffa, L. Wang ( Bauru School of Dentistry, University of São Paulo, Bauru, Brazil). Zirconia-Ceramic versus Metal-Ceramic: Thermal Expansion Mismatch and Residual Stresses. A.N. Jikihara* 1, C.B. Tanaka 2, R.Y. Ballester 1, J.B.C. Meira 1 (1 Department of Biomaterials and Biological Oral, University of São Paulo, São Paulo, Br, 2 School of Mechanical and Manufacturing Engineering, University of New South Wales, Sydney, Au). Newly Identified Peptides against Candida Biofilm Formed on Acrylic Resin. J.H. Jorge* 1, C.V.G. Pellissari 1, W. L. Siqueira 2 (1 São Paulo State University, Brazil, 2 University of Western Ontario, Canada). Physical-Mechanical Characterization of Nanotechnology into Conventional GIC. K.R. Kantovitz* 1,2, F.P. Fernandes 1, O.P. Gomes 3, I.L. Kitagawa 3, I.V. Feitosa 1, I.A.P.S. Silva 1, F.H, Nociti-Jr 2, R.T.Basting 1, R.M. Puppin-Rontani 2, P.N. Lisboa-Filho 3 (1 São Leopoldo Mandic Institute and Dental Research Center, Br, 2 University of Campinas, Br, 3 State University of São Paulo, Br). Bond Strength of Experimental Adhesives with 10-MDP and Diphenyl-Iodonium Salt. C. Kintopp*, G.R. Kinder, L.F. Cunha, G.M. Correr, C.C. Gonzaga (Graduate Program in Dentistry, Universidade Positivo, Brazil). Reinforcement of Fast-Prototyping Resin by Nb2O5 Nanoparticles for Dental Application. C.K. Scotti 1*, M.M.A.C. Velo 1, T.R.L. Nascimento 2, T.P.M. Ferreira 2, F.A.P. Rizzante 3, A.S.M. Ferreira 2, V. Silva 2, R.F.L. Mondelli 1, J.F.S. Bombonatti 1. (1 Bauru School of Dentistry, University of São Paulo, Bauru, Brazil; 2 Federal University of Paraíba, João Pessoa, Brazil; 3 College of Medicine, Case Western University, Cleveland, Ohio). Influence of Veneering Technique on the Fit of Metal-Ceramic Crowns. P. Kunz *, A.B.F. Fernandes, L.F. Cunha, G.M. Correr, C.C. Gonzaga (Graduate Program In Dentistry, Universidade Positivo, Brazil). Color Alteration Promoted by Violet Led for In-Office Bleaching. M. Kury*, C. Perches, B. Fronza, M. Giannini, V. Cavalli (Piracicaba Dental School, University of Campinas, Piracicaba, Br). Use of Recycled Zirconia for Thermoactivated PMMA Reinforcement. RS Leão*1, SLD Moraes 1, BGS Casado 1, Jr Souto-Maior 1, BCE Vasconcelos 1, MAJR Montes 1, KAS Aquino 2, EP Pellizzer 3, JML Gomes 3, TE Vila-Nova 4 (1 University of Pernambuco, Brazil, 2 Federal University of Pernambuco, Brazil, 3 São Paulo State University (Unesp), Brazil, 4 Federal University of Rio Grande Do Norte, Brazil). Biological Properties of Experimental Poly (E-Caprolactone) Nanofibers Scaffolds. M.L.A.S. Leite* 1, D.G. Soares 2, E.A.F. Bordini 1, J. Hebling 31, C.A. De Souza Costa 1 (1 Araraquara School of Dentistry, São Paulo State University, Araraquara, Br; 2 Bauru School of Dentistry, University of São Paulo, Bauru, Br). Y-TZP Ceramic Flexural Strength: Extrinsic Pigmentation and Surface Treatments Influence. Leite, F.P.P* 1, De Faria, J.C.B 1, Bittar, B.F 1, Braga, L. De C 1, Leite, A.P.P 1, Carvalho, R.L.A 2, Miranda, J.S De 3, Kimpara, E.T 3, Souza, R.O 4(1 Federal University of Juiz De Fora, Br, 2 Braz Cubas University, Br, 3 Paulista State University, Br,4 Federal University of Rio Grande Do Norte, Br). Influence of Novel Plant-Derived Monomers on Bonding to Dentin. M.V.S. Lemos* 1, T.A.D.Mendes 1, A.L.M. Mota 1, V.G. Araújo-Neto 2, D. Lomonaco 3, S.E. Mazzetto 3, V.P. Feitosa 1, S.L. Santiago 1 (1 Federal University of Ceará, Fortaleza, Ceará, Brazil, 2 Catholic University Center of Quixadá, Quixadá, Ceará, Brazil, 3 Department of Organic and Inorganic Chemistry, Federal University of Ceará, Fortaleza, Ceará, Brazil). Bis(p-tolyl)Iodonium Hexafluorophosphate as Co-Initiator for Light Curing Resins. A.F. Lima* 1, K.C. Verzola 1, D. Dressano 2, M. Hadis 3, L.S. Gonçalves 4, D.C. Watts 5, W.M. Palin 3 (1 Dental Research Division, Paulista University, Brazil, 2 Department of Restorative Dentistry, State University of Campinas, Brazil, 3 College of Medical and Dental Sciences, Institute of Clinical Studies, University of Birmingham, UK, 4 Department of Conservative Dentistry, Federal University of Rio Grande Do Sul, Brazil, 5 School of Medical Sciences and Photon Science Institute, University of Manchester, UK). Effectiveness of Silane- And MDP-Based Primers Bond to Zirconia. R.B.W. Lima* 1, S.C. Barreto 1, N.M.Alfrisany 2, T.S. Porto 3, G.M. De Souza 2, M.F. Goes 1 (1 Piracicaba Dental School, University of Campinas, Piracicaba, Brazil, 2 Faculty of Dentistry, University of Toronto, Toronto, Canada, 3 Case Western Reserve University, Department of Comprehensive Care, Cleveland, USA). Processing Variables Influence Strength and Reliability of a Lithiumsilicate Glass ceramic. U. Lohbauer*1, A.A. Alonso2, R. Belli1 (1 Research Laboratory for Dental Biomaterials, Erlangen, University of Erlangen-Nuernberg, Germany; 2 Institute of Science and Technology, São Paulo State University (Unesp), São José Dos Campos, Brazil). Effect of Dentin Moisture Protocols on Cementation of Fiber Post. R. Lopes-Rocha* 1, C.T.P. Araújo 1, M.L.P. Pinheiro 1, A.C. Dayrell, M.O.A. Dourado 1, J.M. Ferreira (. Experimental Adhesives Containing DPHIF/10-MDP: Degree of Conversion and Biocompatibility. F.S. Lucena*, M.H. Narimatsu, S.R. Conceição, A.Y. Furuse (Bauru School of Dentistry, University of São Paulo, Brazil). Antimicrobial Properties of Experimental Endodontic Sealers Containing Vegetable Extracts. D.C. Dos Santos1, C.E.C. Suárez1, L.R. Schneider1, A.S. Barboza1, M.F. Damian1, E. Piva1, A.D. Campos2, R.G. Lund1*(1 Federal University of Pelotas, Brazil, 2 Brazilian Agricultural Research Corporation, Brazil). Wettability of Monolithic Y-TZP Ceramic Submitted to Different Surface Treatment. F.A. Maeda* 1, G.S. Coltro 1, K.N. Monteiro 2, F.C. Torres 1, L.H. Da Silva 1, P.F. Cesar 2. (1 University of Sao Paulo City (Unicid), Sao Paulo, Brazil, 2 Biomaterials and Oral Biology Department, University of Sao Paulo, Sao Paulo, Brazil). Is it Necessary to Photoactivate Bonding Agents inside Ceramic Crowns? A.T. Maluly-Proni* 1, B. Oliveira-Reis 1, T.Y.U. Suzuki 2, G. Vasconcelos 3, W.G. Assunção 1, P.H. Dos Santos 1 (1 Sao Paulo State University, Brasil, 2 Federal University of Minas Gerais, Brasil, 3 Aeronautics Institute of Technology, Brasil). Y-TZP Reinforced with Reduced Graphene Oxide: Evaluation of Processing Conditions. D.S. Manarão* ¹, G.L. Cordeiro², A.J.O. Tertuliano³, I.F. Machado³, D.R.R. Lazar ², V. Ussui², P.F.Cesar ¹ (1 Fo-University of São Paulo, Br; 2 Ipen-University of São Paulo, Br; 3 Poli-University of São Paulo). A Network Meta-Analysis of Different Ligh-Activation to Dental Bleaching. B.M. Maran* 1, P.K. Ziegelmann 2, A. Burey 1, T.P. Matos 1, A.D. Loguercio 1, A. Reis 1 (1 State University of Ponta Grossa, Br 2 Federal University of Rio Grande Do Sul, Br). File-Splitting Multilayer vs Y-TZP: Fatigue Strength and Finite Element Analysis. A.M.E. Marchionatti* 1, L.G. May 2, V.F. Wandscher 3, I.L. Aurélio 4, C.D. Bergoli 5 (1 Santo Ângelo Cnec Faculty, Br, 2 Federal University of Santa Maria, Br, 3 Franciscan University, Br, 4 Fsg Faculty, Br, 5 Federal University of Pelotas, Br). Zinc Phosphate with Red Propolis Antimicrobial effect and Tensile Strength. E.L.B. Marroquim* 1, F.L.B. Amaral 2, R.T. Basting 2, C.P. Turssi 2, I.C.C.M. Porto 1, T.G. Nascimento 1, J.M.S. Oliveira 1, F.M.G. França 2 (1 Universidade Federal De Alagoas, Maceio, Brazil, 2 São Leopoldo Mandic Institute and Dental Research Center, Campinas, São Paulo, Brazil). Biological Properties of Universal Adhesives Containing Zinc-Oxide and Copper Nanoparticles. MF Gutiérrez 1,2, J Bermudez 1, A Dávila-Sánchez 1,3, LF Alegría-Acevedo 1, L Mendez 1, AD Loguercio 1, S Buvinic 2, N Hernández-Moya 2, J Martin * 2, E Fernandez 2,4 (1 School of Dentistry, State University of Ponta Grossa, Ponta Grossa, Brazil, 2 Faculty of Dentistry, University of Chile, Santiago, Chile, 3 Department of Restorative Dentistry and Biomaterials, San Francisco De Quito University, 4Instituto De Ciencias Biomédicas, Universidad Autónoma De Chile, Chile). Phytic Acid as a Conditioning Dentin Agent. B.C. Martins*, T.A.D. Mendes, E.J.A.Filho, S.C.D.Pascual, S.L.Santiago, J.S.Mendonça (Universidade Federal Do Ceará, Br). Clinical Evaluation of Violet Led (405-410 nm) Bleaching: Preliminary Results. E Mayer-Santos* 1, CV Twiaschor 1, AP Brugnera 2, F Zanin 2, ABrugnera-Junior 2, PM Freitas 1 (1 University of São Paulo, Br; 2 Brugnera and Zanin Institute, Br). Effect of Benzalkonium-Chloride (BAC) on Dentin Bond-Strength and MMPs Activity. A Mazzoni* 1, L Valente1, A Comba 1,T Maravic 1, S Chuna 2, M Cadenaro 3, L Breschi 1 (1University of Bologna, Italy,2 University of San Paulo, Brasil,3 University of Trieste, Italy). Etch-And-Rinse Adhesive Containing Silver Nanoparticles: Preliminary Study of Antibacterial Effects. J.D. Aguiar 1, I.B. Suffredini 2, S.H. Toma 1, K. Araki 1, M. Dutra-Correa 2, I.S. Medeiros* 1 (1 University of São Paulo, Br, 2 Paulista University, Br). Simulation of Bone Resorption around Implants by Finite Element Analysis. J.B.C. Meira*, A.A. Gomes, G.M.A. Galasse, R.C. Santana, N. Sesma, R.Y. Ballester (University of São Paulo, São Paulo, Brazil). Failure Probability and Stress Distribution of Silica-Infiltrated Bioinspired Zirconia Crowns. G.F. Ramos 1, L.M.M. Alves 1, N.C. Ramos 1, T.M.B. Campos 2, M.R. Kaizer 3, A.L.S. Borges 1, R.M. Melo* 1 (1 Institute of Science and Technology, São Paulo State University (Unesp), São José Dos Campos, Brazil; 2 Aeronautics Technological Institute (Ita), Brazil; 3 New York University, USA). Ethanol-Wet-Bonding and Collagen Cross-Linkings: Physico-Chemical Properties on Bonding to Dentin. T.A.D. Mendes*, M.V.S Lemos, S.L. Santiago, B.C. Martins, S.C.D. Pascoal,P.R.P. Motoyama, J.S. Mendonça (Federal University of Ceara, Br). Tribological Characterization of 3Y-TZP Ceramics Sintered at Different Conditions. A.M. Mendes* 1, A.E. Martinelli 1, J.R.C. Queiroz 2, E.S. Santos 3, M.R.D. Bomio 1 (1 Materials Science and Engineering Department, Federal University of Rio Grande Do Norte, Natal, Brazil, 2 Biotechnology Department, Potiguar University, Natal, Brazil, 3 Chemical Engineering Department, Federal University of Rio Grande Do Norte, Natal, Brazil). Effect of Different Pistons on Resistance and Damage of Ceramics. J.S. Miranda*, R.L.A. De Carvalho, R.F. De Carvalho, A.L.S. Borges, R.O.A. Souza, R.M.M. Marinho (Institute of Science and Technology – UNESP of São José dos Campos, São José dos Campos, Br). Crystallized e-max CAD Response to Several Surface Modifications. G.L.P.Miranda* 1, V.Boyes 2, N.R.F.A.Silva 3, V.P.Thompson 2 (Unicentro Newton Paiva, Br, 2 King’s College of London, UK, 3 Federal University of Minas Gerais, Br). Phosphoric Acid Concentration Affects Dentinal MMPs Activity. A. Moraes Devito * 1,2, C. Francci 1, C. Vidal 3, P. Scaffa 4, D. Nesadal 1, L. Yamasaki 2, J. Nicolau 1, F. Nascimento 5, D. Pashley 6, M. Carrilho 7 (1 University of São Paulo (Usp), São Paulo, Brazil, 2 University Nove De Julho (Uninove), São Paulo, Brazil, 3 University of Iowa, Iowa, USA, 4 University of São Paulo (Usp), Bauru, Brazil , 5 University of Mogi Das Cruzes (Umc), Mogi Das Cruzes, Brazil, 6 Georgia Health Sciences University, Augusta, USA, 7 Midwestern University, College of Dental Medicine, USA). Eficacy of Desensitizing Agents in the Treatment of Dentinal Hypersensitivity. J.M. Moreira*, V.C. Ruschel, A.S. Bandeira, G.B. Raube, J.K. Bernardon (Universidade Federal De Santa Catarina, Odontologia, Florianópolis, Brasil). Influence of TiO2 Nanosctructures on Properties of Flowable Resin. G.M.F. Guimarães* 1, E.S.B. Uhle 2, P.N. Lisboa-Filho 2, A.Y. Furuse 1 (1 Bauru School of Dentistry, University of São Paulo, Bauru, Brazil, 2 School of Sciences, São Paulo State University, Bauru, Brazil). Effect of Different Ceramic-Primers and Silanization-Protocols on Glass-Ceramic Bond Strength. M.B.P. Moreno* 1, F. Murillo-Gómez 2, M. De Goes 1 (1 Piracicaba Dental School, State University of Campinas, Piracicaba, Brazil, 2 Dental School, University of Costa Rica, San Jose, Costa Rica). Monolithic Zirconia Prosthesis vs Bilayer Prosthesis: A Systematic Review. J.M.L. Moreno*, W.G. Assunção, P.H. Dos Santos, E.P. Rocha, D. Oliveira, A.R. Barion, C.A. De Sousa, H.B.S Sahyon, A.O. Da Silva (São Paulo State University (Unesp), School of Dentistry, Araçatuba, Brazil). Effect of Propolis on Removal of Biofilm of Maxillofacial Elastomers. A. Moreno* 1, I.B.S. Lopes 1, D.G. Calefi 2, J.A.A. Arruda 1, S.G. Santos 2, P.P. Magalhães 2, L.M. Farias 2, Mesquita R.A. 1 (1 School of Dentistry, Federal University of Minas Gerais, Belo Horizonte, Brazil, 2 Institute of Biological Sciences, Federal University of Minas Gerais, Belo Horizonte, Brazil). Clinical Performance of 168 Screw Free Implants: Prosthetic Complications. C.S. Morsch*, M.C. Lisboa, J. Silva, C.F. Rafael, R.C. Cecato, R.S. Magini, C.A.M. Benfatti (Federal University of Santa Catarina, Dentistry, Florianópolis, Brazil). Evaluation of Dentinal Conditioning with Natural Acids in Dentin-Resin Interface. A.L.M Mota*, F.A.A Macedo, M.V.S Lemos, T.A.D Mendes, G.A. Lourenço, N.L.G Albuquerque, V.P Feitosa, S.L Santiago (Federal University of Ceará, Brazil). Development and Study of Cytotoxicity of Calcium Oxide Nanocrystals. GL Souza 1, TR Silva 1, MS Vieira 1, NO Dantas 2, ACA Silva 2, CCG Moura* 1 (1 Universidade Federal De Uberlândia, Br; 2 Universidade Federal De Alagoas, Br). Adhesiveness Analysis of Sealer Plus and AH Plus Endodontic Sealers. V.H. Nunes, L.P. Papa, F. Muranaka*, F.A.S. Mello, T.M. Ponce, L.M. Silva, J.E.P. Silveira, L.S. Girotto, E.G.Corrêa (Southwestern College of São Paulo, Br). Evaluation of Biofilm Removal and Antimicrobial Action of Denture Cleansers. C.N.F. Arruda*, M.M. Salles, V.C. Oliveira, A.P. Macedo, C.H. Silva-Lovato, H.F.O. Paranhos (School of Dentistry of Ribeirão Preto, University of Sao Paulo, Br). Zn+2 Containing Glass Ionomer Cement Inhibits Root Dentin Demineralization. Y. Nagano*, D. Mori, T. Kumagai (GC Corporation, Research & Development, Tokyo, Japan). Evaluation of Surface Roughness of Alginate Impression Materials. Y.Nakashima*, N.Niizeki, D.Usuki, T.Ueno, T.Kumagai (GC Corporation R&D Center, Tokyo, Japan). Effect of Toothbrushing on the Surface of Esthetic Restorative Materials. G. Nima* 1, J.G. Lugo 2, R.G. Palma-Dibb 3, J.J. Faraoni 3, A. Correa2 , M. Giannini 1 (1 Piracicaba Dental School, University of Campinas, Brazil, 2 Scientific University of the South, Peru, 3 School of Dentistry of Ribeirão Preto, São Paulo University, Brazil). Double-Blind Clinical Trial of Satisfaction in Patients Undergoing Dental Bleaching. AC Nishida*, TG Carnaval, C Francci, PP Albuquerque, EC Rodrigues, CR Kiyohara (Faculty of Dentistry, University of São Paulo, São Paulo, Brazil). Ultimate Fracture Load of CAD-CAM Crowns with Different Thicknesses. M.S. Noronha*1, P.F. Cesar 2, V.L.B. Azevedo 1, O.S. Andrade 3, A.O. Carvalho 4, S.S. Favero 2, M. Giannini 1 (University of Campinas, Br; 2 University of São Paulo, Br; 3 Senac University, Br, 4 State University of Southern Bahia, Br). Influence of Increment Thickness on Microhardness of Bulk-Fill Resin. A.T. Obeid*, C.K. Scotti, L.E. Pacheco, A.Y. Furuse, R.F.L. Mondelli, J.F.S. Bombonatti (Bauru School of Dentistry, University of São Paulo , Bauru, Brazil). Compression Strength and Fractographic Analyses between two Indirect Veneers Materials. NA Oliveira*, RF Rodrigues, IBL Soares-Rusu, CA Espinoza-Villavicencio, E Bonfante, PAS Francisconi, AFS Borges (Bauru School of Dentistry, University of São Paulo, Bauru, Brazil). Influence of Laminate Veneers on Behavior of Gingival Margin. D. Oliveira* 1, N.S. Araújo 1, M.T. Caixeta 1, J.M.L. Moreno 1, P.H.S. Gomes-Ferreira 2, F.I. De-Souza 1, E.P. Rocha 1. (1 Department of Dental Materials and Prosthodontics, São Paulo State University, Araçatuba, Brazil; 2 Department of Surgery and Integrated Clinic, São Paulo State University, Araçatuba, Brazil). Resin-Cement Adhesion to Zirconia: Effect of Adhesion Technique and Aging. M. Özcan* 1, N. Al-Haj Husain 2, L. Chen 3 (1 Division of Dental Materials, University of Zurich, Zurich, Switzerland, 2 School of Dental Medicine, University of Bern, Switzerland, 3 Bisco, Director of R&D, USA). Effect of Silver-Coated Silica Nanoparticles Associated to PMMA. T.J.A. Paes-Junior*, S.C.M. Sacorague, Gonçalves F.C.P, B.C. Lucatto (São Paulo State University (Unesp), Brazil). Polymerization Shrinkage of Bulk Fill Composite through Optical Coherence Tomography. P.T.S.S. Palmeira* 1, A.F. Souza 2, A.S.L. Gomes 3, D.L.B. Faria 2, W.V. Maciel 2, M.H.C.V. Catão 1, C.C.B.O. Mota 2 (1 Dentistry Department, Universidade Estadual Da Paraíba (Uepb), Campina Grande, Brazil, 2 Faculty of Dentistry, Centro Universitário Tabosa De Almeida (Asces-Unita), Caruaru, Brazil, 3 Physics Department, Universidade Federal De Pernambuco (Ufpe), Recife, Brazil). Analysis of Voids using Different Restorative Techniques. C. Pardo Díaz*, CAK Shimokawa, AZ Freitas, ML Turbino (Department of Restorative Dentistry, University of São Paulo, Brazil). Marginal Adaptation of Ceramic Fragments Reconstructing the Canines tip. R.P. Pereira* 1, L.A. Linhares 1, L.F. Pottmaier 1, R.C.R. Silveira 1, P.F. Cesar 2, L.N. Baratieri 1 (1 Federal University of Santa Catarina, Br, 2 University of Sao Paulo, Br). Effects of Graft Biomaterials and Topical Glucocorticoid on Preosteoblastic Cells. C.N.B. Pereira* 1, A.F.A. Silva 1, I.M.A. Diniz 2, C.S. Magalhães 2, A.N. Moreira 2, K.L.M. Maltos 2, E.G. Zenóbio 1 (1 Dentistry Department of Pontifícia Universidade Católica De Minas Gerais, Belo Horizonte, Br, 2 Faculty of Dentistry, Universidade Federal De Minas Gerais, Br). Dental Bleaching Techniques: Clinical Parameters and Enamel Mineral Content. A. Pinto*, NR. Carlos, FLB Amaral. , FMG França, CP Turssi, RT Basting (São Leopoldo Mandic University, São Paulo, Campinas, Brasil). Effects of Exposure to Grape Juice during Bleaching: Clinical Study. L.F. Pottmaier 1, L.A. Linhares 1, G. Bruzi *2, L.N. Baratieri 1, G.C. Lopes 1 (1 Operative Dentistry, Federal University Os Santa Catarina, Florianópolis, Brazil, 2 Operative Dentistry, Federal University of Alfenas, Alfenas, Brazil). Effect of Glass-Ceramic Associated to Natural Primers on Dentin-Adhesive Interface. F.C.P. Pires-De-Souza* 1, R. Geng-Vivanco 1, R. Tonani-Torrieri 1, A.B.S. Sousa 2, F. Marquele-Oliveira 3 (1 Ribeirao Preto School of Dentistry, University of Sao Paulo, Brazil, 2 University of Ribeirao Preto, Brazil, 3 Laboratory of Research, Development and Innovation, Apis-Flora, Brazil). Self-Adhesive Pit and Fissure Sealant Modified with Metallic Monomers. E. Piva*1, A.R. Cocco1, C.E.C. Suarez1, Wlo Da Rosa1, F.S. Rondan2, A.F. Silva1, , M.F. Mesko2, R.G. Lund1 (1 School of Dentistry, Federal University of Pelotas, Pelotas, Brazil, 2 Center of Chemical, Pharmaceutical and Food Sciences, Federal University of Pelotas, Capão Do Leão, Brazil). Physicochemical Properties of Dental Adhesives Doped with Zinc Compounds. C. Pomacóndor-Hernández* 1, A. Catelan 2, V.P. Feitosa 3, S. Consani 4 (1 John Paul II Private University, Lima, Peru, 2 University of Western Sao Paulo, Presidente Prudente, Brazil, 3 Paulo Picanço School of Dentistry, Fortaleza, Brazil, 4 University of Campinas, Piracicaba, Brazil). Influence of Etching Procedures on Surface Wettability of CAD/CAM Materials. T.S. Porto* 1, F.A.P. Rizzante 1, I.G.M. Silva 1, R.C. Roperto 1, S.T. Porto-Neto 2, E.A. Campos 2, F.F. Faddoul 1, S.T. Teich 1 (1 Case Western Reserve University, USA, 2 Sao Paulo State University, Brazil). Cyclic Load-to-Failure of Hydrofluoric Acid Etched Lithium Disilicate Restorations. C. Prochnow* 1, A.B. Venturini 1, L.F. Guilardi 1, M.P. Rippe 1, C.J. Kleverlaan 2, M.C. Bottino 3, G.K.R. Pereira 4, L.F. Valandro 1 (1 Federal University of Santa Maria, Br, 2 University of Amsterdam and Vu University Amsterdam, Nl, 3 University of Michigan School of Dentistry, USA, 4 Meridional Faculty, Br). Correlation of Calcium-Phosphate, Laser and Adhesive on Dentin-Permeability and Bond-Strength. P.L. Benitez Sellan, A.C. Bellam, D.S. Andrade, C.R.G. Torres, C.R. Pucci* (Department of Restorative Dentistry, São Paulo State University Unesp São Jose Dos Campos, São Paulo, Brazil). Effect of a Nanochitosan Solution on Tooth Color. J.R.C. Queiroz* 1, A.A. Barbosa 2, G.T. Furtado 3, M.V.L. Fook 3 (1 Universidade Estadual Da Paraiba, Brazil, 2 Universidade Potiguar, Brazil, 3 Universidade Federal De Campina Grande, Brazil). Can Low Temperature Degradation Influence Conventional and Monolithic Zirconia Crowns? M Del Piñal, 1,2, CFRafael *1; JF Bartolomé 2, MJ Suarez 2, CAM Volpato 1, (1Department of Dentistry, Federal University of Santa Catarina, Florianópolis, Brazil; 2 Faculty of Odontology, University Complutense, Madrid, Spain). Bioactive Glasses Improve Dentin Adhesion and Conversion of Experimental Adhesives. T.O. Rifane* 1, L.K. Solheiro 1, K.E. Moura 1, F. Silvestre 1, M.M. Moreira 1, M.T. Souza 2, E.D. Zanotto 2, S. Sauro 3, V.P. Feitosa 1 (1 Paulo Picanço School of Dentistry, Fortaleza, Brazil, 2 Department of Materials Engineering, Federal University of São Carlos, São Carlos, Brazil, 3 Departamento De Odontologia, Ceu Cardenal Herrera University, Valencia, Spain). Survival Rate of Restored Premolars: Evaluation of Inlay Fabrication Methods. M.P. Rippe* 1, C. Monaco 2, T. Missau 1, V.F. Wandscher 1, L. Volpe 2, R. Scotti 2, M.A. Bottino 3, L.F. Valandro 1 (1 Federal University of Santa Maria, Br, 2 Alma Mater Studiorum University of Bologna, It, 3 São Paulo State University, Br). Staining Susceptibility of Resin Infiltrated White Spot Lesions after Bleaching. C.R.G. Torres*, D.S. Andrade, A.M.O. Correia, T.R. Mesquita, A.B. Borges (Sao Paulo State University – Unesp, Brazil). Fatigue of Lithium-Disilicate Crowns: Processing Technique and Surface Treatment Effects. R. Schestatsky; Cp. Zucuni; Lf. Valandro; Gk. Rocha Pereira* (Meridional Faculty – IMED, Passo Fundo, Br). Biogenic Synthesis and Characterization of Silver Nanoparticles Coated with Silica. M.C. Rodrigues* 1, W.R. Rolim 2, M.M. Viana 1, T.S. Rodrigues 1, V. Arana-Chaves 3, B.B. Silva 4, A.B. Seabra2 (1 Cruzeiro Do Sul University, Br, 2 Federal University of ABC, Br, 3 University of São Paulo, Br, 4 Guarulhos University, Br). Glaze Firings on Veneered Zirconia: Residual Stresses and Optical Aspects. C.S. Rodrigues* 1, I.L. Aurélio 2, S. Fraga 3, L.G. May 1 (1 Federal University of Santa Maria, Brazil, 2 University Center of Serra Gaúcha, Brazil, 3 Franciscan University, Brazil). Adhesion and Strength Properties of Air-Abraded Y-TZP: Distinct Silica-Coating Concentrations. A.C.C. Rodrigues 1*, C. Prochnow 1, J.S. Oliveira 2, S.L. Jahn 2, E.L. Foletto 2, M.P. Rippe 1, G.K.R. Pereira 3, L.F. Valandro 1 (1 Prosthodontics Units, Federal University of Santa Maria, Santa Maria, Brazil; 2 Department of Chemical Engineering, Federal University of Santa Maria, Santa Maria, Brazil; 3 School of Dentistry, Meridional Faculty, Passo Fundo, Brazil). Brushite Particles Synthesis: Effect of Temperature and Concentration of Reagents. L.R. Brasil* 1, M.C. Rodrigues 1, F.M. Vicchi 2, V.E. Arana-Chavez 1, R.R. Braga 1 (1 Department of Biomaterials and Oral Biology, University of São Paulo, São Paulo, Brazil, 2 Institute of Chemistry, University of São Paulo, São Paulo, Brazil). Characterization of Dental Ceramics. G.R. Rocha* 1, E.J. Florez Salamanca 1, J.P.B. Machado 2, M.I. Klein 1, F.Z. Trincade 1 (1 University of State São Paulo – Unesp, Br; 2 National Institute of Space Research – Inpe, Br). Reproducing the Occlusal Anatomy of Temporary Crowns in Zirconiumoxide Crowns. S. Mohan, JF Roulet*, N Abdulhameed, M Rocha, E O’Neill (Restorative Dental Sciences, University of Florida, Florida, USA). Microtensile Bond Strength of Zirconia after Surface Treatments and Aging. E. Ruales-Carrera* 1, P.F. Cesar 2, B. Henriques 1, M.C. Fredel 1, M. Özcan 3, C.A.M. Volpato 1 (1 Department of Dentistry, Federal University of Santa Catarina, Florianópolis, Brazil; 2 Department of Dental Materials and Oral Biology, São Paulo University, São Paulo, Brazil; 3 Dental Materials Unit, Center for Dental and Oral Medicine, University of Zurich, Zurich, Switzerland). Postoperative Sensitivity of Composite Replacement of Amalgam Restoration. V.P. A. Saboia*1, N.S.Rodrigues 1, D.A.Cunha 1; L.C.De Souza 1, N.O.Souza 1, P.G.B.Silva 1, S.L.Santiago 1, A.D.Loguércio 2 (1 Federal University of Ceará, Br, 2 State University of Ponta Grossa, Br). Evaluation of Chemically Synthetic Carbonate Apatite Bone Substitute. Y. Sakaguchi*, K. Yamanaka, Y. Shigemitsu K. Yamamoto, and T. Kumagai (GC Corporation, Research & Development Department, Tokyo, Japan). Evaluation of Bond Strength of 2-Step Type Adhesives. T. Sakai*, A. Arita, T. Kumagai (GC Corporation, Research & Development, Tokyo, Japan). Characterizing Laser Irradiation through an YSZ Ceramic for Debonding Purposes. D. Hutto 1, L. Stringer 2, S. Malley 1, J.A. Griggs 1, S.M. Salazar Marocho 1* (1 University of Mississippi Medical Center, Jackson, USA; 2 Millsaps College, Jackson, USA). Sorption and Solubility of Dental Cements after Acid Etching. L.A. Salvio 1 *, T.P. Pereira 1, M. B. Lopes 2 (1 Federal University of Juiz De Fora, Juiz De Fora, Brazil, 2 State University Londrina, Londrina, Brazil). Influence of Volume on Polymerization Contraction Force of Bulk-Fill-Composites. D.C. Santin*, M.M.A.C. Velo, F.S. Camim, H.M. Honório, R.F.L. Mondelli (Bauru School of Dentistry, University of São Paulo, Bauru, Brazil). Microtensile Bond Strength of a Novel Resin-Modified Glass Ionomer Adhesive. I.C. Santos* 1, T.B. Salgueiro 1, J.J. Mendes 1,2, A. Delgado 1, J. Brito 1,2, A.C. Azul 1,2, M. Polido 1,2 (1 Instituto Universitário Egas Moniz, Caparica, Portugal, 2 Centro De Investigação Interdisciplinar Egas Moniz, Caparica, Portugal). Assessment of S-PRG Fillers’ effect on Enamel Demineralization using SS-OCT. A.C. Sá-Pinto* 1, K. Matin 2, N. Hiraishi 2, Y. Zhou 2, M.L. Ramos-Jorge 1, S.G.D. Oliveira 1, T. Nikaido 2, J. Tagami 2 (1 Federal University of Valleys of Jequitinhonha and Mucuri, Br; 2 Tokyo Medical and Dental University, Tokyo, Japan). Fractographic Analysis In-Vivo Failed Molar Resin Composite Restorations. CM Saratti*, GT Rocca, I Krejci, SS Scherrer (School of Dentistry, University of Geneva, Geneva, Sui). Bulkfill can Decrease Conversion at the Bottom of deep Preparations. L.F. Schneider 1 2*, B.T. Vasconcellos 2, B.S. Veiga 2, L.M. Cavalcante 1 2 (1 Federal Fluminense University, Brazil, 2 Veiga De Almeida University, Brazil). Evaporation Time: Aging Adhesive Properties of Universal Adhesives to Dentin. M Schroeder* 1, Thalita P. Matos 2, T.A. Hanzen 2, M. F. Gutierrez 2, A. Reis 2, and A.D. Loguercio 2, (1Universidade Estadual De Ponta Grossa, Ponta Grossa, Brazil). Wear and Marginal Gap of Direct Composites on Endodontically-Treated Teeth. N. Scotti*1, A. Comba 2, R. Michelotto Tempesta 1, A. Baldi 1, E.A. Vergano 1, C. Foglia 1, M. Alovisi 1, D. Pasqualini 1, E. Berutti 1. (1University of Torino, Italy; 2 University of Bologna, Italy). Shear Bond Strength of Brackets under Exposure to Cigarette Smoke. N.J.C. Sena* 1, B.K. Lima 1, V.P.Feitosa 2, V.P.A Saboia 1 (1 Universidade Federal Do Ceará, Ufc, Br; 2 Faculdade Paulo Picanço, Br). Surface Properties and Wear Resistance of Conventional and Bulk-Fill Composites. C.A.K. Shimokawa* 1, M. Giannini 2, C.B. André 2, B.O. Sahadi 2, J.J. Faraoni 3, R.G. Palma-Dibb 3, C.J. Soares 4, M.L. Turbino 1, R.B. Price 5 (1 Department of Restorative Dentistry, University of São Paulo, São Paulo, Brazil, 2 Department of Restorative Dentistry, University of Campinas, Piracicaba, Brazil, 3 Department of Restorative Dentistry, University of São Paulo, Ribeirão Preto, Brazil, 4 Department of Operative Dentistry and Dental Materials, Federal University of Uberlândia, Uberlândia, Brazil, 5 Clinical Dental Sciences, Dalhousie University, Halifax, Canada). Mechanical Properties of Methyl-Methacrylate Resins including Metronidazole or Chlorhexidine. U.P.C. Silva* 1, R.C.F. Grassia-Jr. 2, N.C.A.Alves 2, L.C.C. Boaro 2, W.C. Brandt 2. (1 University São Leopoldo Mandic, Campinas, Brasil, 2 University Santo Amaro, Unisa São Paulo, Brasil). Color Stability of Repairs on Bis-Acrylic Resin after Colorants Immersion. J. Silva* 1, S.L. Grass 1, M.C.S. Lisboa 1, E.A.R. Carrera 1, C.F. Rafael 1, R.C. Cecato 1, P.C. Vaz 2, C.A.M. Volpato 1 (1 Department of Dentistry, Federal University of Santa Catarina, Florianópolis, Brazil, 2 Dental Medicine Faculty, University of Porto, Porto, Portugal). Flexure Strength of a Glass Ceramic: Effect of Cementation Protocols. S.E.G. Silva* 1, G.M. Araújo 1, T.E.L. Vila-Nova 1, K.B. Souza 1, D.M.D. Moura 1, I.H.G. Carvalho 1, A.H. Veríssimo 1, A.B.N. Januário 1, A.M.O. Dal Piva 2, R.O.A. Souza 1. (1 Departament of Dentistry, Federal University of Rio Grande Do Norte, Brazil, 2 Departament of Dental Materials and Prosthodontics, State University of São Paulo, São José Dos Campos, Brazil). Cytotoxicity and Physical Properties of new Composites for Pulp Capping. J.C. Silva 1*, V.P.A. Saboia 1, A.P.N. Nunes Alves 1, M.R.L. Mota 1, P.B.A. Fechine 2, R.J. Miron 3, E.V. Carvalho 2, A.E.C. Ferreira-Júnior 1, P.G.B. Silva 1, V.P. Feitosa 1,4. (1 Dental School, Federal University of Ceará, Fortaleza, Brazil; 2 Department of Physical-Chemistry, Federal University of Ceará, Fortaleza, Brazil, 3 Department of Periodontology, Nova Southeastern University, Fort Lauderdale, USA, 4 Research Division, Paulo Picanço School of Dentistry, Fortaleza, Brazil). Evaluation of Polymerization Stress of Bulk Fill Composites. F.C.F.A. Silva* 1, L. G. Barreto 1, N.S. Rodrigues 2, D.A. Cunha 2, L.C. Souza 2, N.O. Souza 2, E.C.R. Júnior 3, V.P. Saboia 2 (1 Christus University Center, Unichristus, Br, 2 Federal University of Ceará, Br, 3 State University of São Paulo, Br). MDP-Based Systems Profile when combined with Chlorhexidine/Hydroxyapatite. M.A.S. Agulhari* 1, N.L. Froio 1, G.S. Zabeu 1, L.F.F. Brianezzi 1, M.C. Giacomini 1, J.C. Jacomine 1, M.R.O. Carrilho 2, H.M. Honório 1, L. Wang 1 (Bauru School of Dentistry, University of São Paulo, Bauru, Br; 2 Research Faculty College of Dental Medicine – Illinois, Midwestern University, Downers Grove, USA). Intracanal Bonding with Therapeutic Adhesives and new Dentin Conditioners. F.A. Silvestre* 1, L.K. Solheiro 1, K.E. Moura 1, T.O. Rifane 1, R.S. Sousa1, C.P. Isolan 3, G.S. Lima 3, S. Sauro 4, V.P. Feitosa 1,2 (1 Paulo Picanço School of Dentistry, Fortaleza, Brazil, 2 Department of Restorative Dentistry, Federal University of Ceará, Fortaleza, Brazil, 3 Dental Materials, Federal University of Pelotas, Pelotas, Brazil, 4 Dental Biomaterials, Preventive & Minimally Invasive Dentistry, Departamento De Odontologia, Ceu Cardenal Herrera University, Valencia, Spain). Mechanical, Chemical and Bond Strength Properties of Bisphenol-A Free Composites. M. Sinhoreti *1, R.F. De Oliveira 1, D.C.R.S. De Oliveira 1, M.G. Rocha 1, J.F. Roulet 2, S. Geraldeli 2 (1 Piracicaba Dental School, Unicamp, Piracicaba, Brazil; 2 College of Dentistry, University of Florida, Gainesville, USA). Mouthguard Biomechanics for Protecting Dental Implants from Impact. P.B.F. Soares* 1, V.F. Carvalho 1, C. Veríssimo 2, R.S. Pessoa 1, A. Versluis 3, C.J.1 (1 Federal University of Uberlândia, Brazil, 2 Federal University of Goias, Brazil, 3 University of Tennessee, USA). Flexural-Strength and Translucency of Feldspar-Ceramic: Specimen’s Number-Position in Furnace Effect. P.S. Machado*, J.G. Camponogara, C.S. Rodrigues, L.B. Jacques, L.F. Valandro, M.P.Rippe (Prosthodontics Units, Federal University of Santa Maria, Santa Maria, Brazil). Composite Restoration of Endodontically-Treated Molars: Bite-Force and Specific FE-Analysis. C.J. Soares* 1, M.P.Rodrigues 1, P.B.F. Soares 1, M.A.B. Gomes 1, R.A. Pereira 1, D. Tantbirojn 2, A.Versluis 2 (1 Federal University of Uberlândia, Brazil, 2 University of Tennessee Health Science Center, USA). Clinical Evaluation of Lithium Disilicate Veneers Manufactured by CAD/CAM. IBL Soares-Rusu *, CA Villavicencio-Espinoza, NA Oliveira, L Wang, HM Honório, JH Rubo, AFS Borges (Bauru School of Dentistry, University of São Paulo, Bauru, Brazil). Gap Evaluation of Class II Resin-Filling Techniques–MCT and SEM Analysis. CS Sampaio*, GA Garces, N Kolakarnprasert, PJ Atria, R Hirata (Department of Biomaterials, Universidad de los Andes, Santiago, Chile). Bioactive Glasses May Interfere on Dentin Adhesion of Experimental Composites. L.K. Solheiro* 1, K.E. Moura 1, T.O. Rifane 1, F. Silvestre 1, M.M. Moreira 1, M.T. Souza 2, E.D. Zanotto 2, N. Silikas 3, V.P. Feitosa 1 (1 Paulo Picanço School of Dentistry, Fortaleza, Brazil, 2 Department of Materials Engineering, Federal University of São Carlos, São Carlos, Brazil, 3 School of Medical Sciences, University of Manchester, Manchester, UK). Sorption and Solubility of Different Resin Cements. Q.N. Sonza*, C.D. Bertol, A. Dela Bona, M. Borba (School of Dentistry, Univerity of Passo Fundo, Passo Fundo, Br). Use of Violet Light on Tooth Color Change In-Office Bleaching. J.R. Soutomaior *1, B.M. Angelim1, M.Pontes1, C.H.V.Silva2, M.A.J.R. Montes1, S.L.D. Moraes1 (1 Pernambuco University, Brazil; 2 Federal Pernambuco University, Brazil). Efficacy of Plant-Derived Crosslinkers on Fiber-Post Bonding to Radicular Dentin. N.O Souza* 1, R.S Sousa 1, N.S. Rodrigues 1, C. Isolan 2, R.R. Moraes 2, D.M. Paula 1,3, V. P. Saboia 1, D. Lomanaco 4, S.E. Mazetto 4, V.P. Feitosa 1,3. (1 Restorative Dentistry Department, Federal University of Ceará, Fortaleza, Brazil; 2 Dental Materials, Federal University of Pelotas, Pelotas, Brazil; 3 Paulo Picanço School of Dentistry, Fortaleza, Brazil; 4 Department of Organic and Inorganic Chemistry, Federal University of Ceará, Fortaleza, Brazil). Effect of Hydrofluoric Acid on Resin-Bond Strength to Glass Ceramics. K.B. Souza* 1, D.M.D. Moura 1, A.H. Veríssimo 1, J.P.M Tribst 2, T.E.L Vila-Nova 1, G.M. Araújo 1, A.B.N Januário 1, I.H.G Carvalho 1, S.E.G Silva 1, R.O.A. Souza 1. (1 Department of Dentistry, Federal University of Rio Grande Do Norte (Ufrn), Brazil; 2 Institute of Science and Technology, São Paulo State University (Unesp), Brazil). Push-Out Bond Strength of Semi-Direct Composite to Dentin. R.O.A. Souza*1, M.F.T.P. Campos1, D.M.D. Moura1, I.V. Assunção1, M.R.G.R Caldas1, B.C.D Borges1, J.A. Platt2 (1 Department of Dentistry, Federal University of Rio Grande Do Norte, Brazil; 2 Indiana University School of Dentistry, Indianapolis, USA). Effect of Bleaching Interval on Color Change of Discolored Teeth. I. S. Vardasca*, T.R. Dias, A.S. Martorano, S.R.C. Da Silva, D.C.F. Messias (Odontology, University of Ribeirão Preto, Ribeirão Preto, Br). Computational Analysis of Amine Activators in Amine-Peroxide Redox Polymerization. K. Kim1, N. Singstock2, K. Childress2, C. Musgrave2, J Stansbury*2,3 (1 Chemistry and Biochemistry, University of Colorado, Boulder, USA; 2 Chemical and Biological Engineering, University of Colorado, Boulder, USA; 3 School of Dental Medicine, University of Colorado, Aurora, USA). Marginal Chipping of Lithium Disilicate Crowns Produced by CAD-CAM Systems. S.S.F. Strelhow* 1, B.M. Ferrairo 1, F.F Lima 2, F.F. Piras 1, A.F.S. Borges 1, J.H. Rubo 1, A.L. Valle 1 (1 Bauru School of Dentistry, University of São Paulo, Bauru, Brazil; 2 Department of Dentistry, Ingá University Centre, Maringá, Brazil). Biological Characterization of Dental Pulp Stromal Cells onto PMMA Scaffolds. J.L. Suárez-Franco 1*, B.I. Cerda-Cristerna 1, L. Tejeda-Jácome 1, G. Suárez-Franco 2, J Romero-Ricavar 1, M.A. Álvarez-Pérez 3. (1 Universidad Veracruzana Región Orizaba-Córdoba, México, 2 Universidad Veracruzana Región Veracruz, México, 3 Laboratorio De Bioingeniería De Tejidos, Facultad De Odontología U.N.A.M.). Temporary Denture Liners Modified by Medicinal Plants on Candidal Biofilm. C.Y.C. Sugio*, C.R. Garcia, T.Y. Ueda, R.A. Silva, L.A.S. Coelho, V.S Lara, K.H. Neppelenbroek (Bauru School of Dentistry, University of São Paulo, Bauru, Brazil). Microshear Bond Strengths of Nine CAD/CAM Restoratives Materials. E. Sutil* 1, L. N Kunstmann 2, M. F Gutiérrez 1 3, P. Malaquias 1, A. Reis 1, J. Perdigão 4, A. Loguercio 1 (1 School of Dentistry, State University of Ponta Grossa, Ponta Grossa, Brazil, 2 School of Dentistry, University of Concepción, Concepción, Chile, 3 Faculty of Dentistry, University of Chile, Santiago, Chile, 4 School of Dentistry, University of Minnesota, Minneapolis, USA). Influence of Silver Nanoparticle on Mechanical Properties of Adhesive Interface. T.Y.U. Suzuki* 1,2, A.T. Maluly-Proni 1, B. Oliveira-Reis 1, W.G. Assunção 1, A.L.F. Briso 1, P.H. Dos Santos 1 (1 School of Dentistry, Sao Paulo State University, Araçatuba, Brazil, 2 Department of Restorative Dentistry, Federal University of Minas Gerais, Belo Horizonte, Brazil). Tricalcium Silicate Repair Materials Doped with Fluorine and Radiopacifiers. M. Tanomaru-Filho * 1, L.B. Campi 1, F. Rubio 1, F.F.E. Torres 1, J. Camilleri 2, J.M. Guerreiro-Tanomaru 1 (1 Restorative Dentistry, Unesp, São Paulo State University, Araraquara, Brazil, 2 Restorative Dentistry, University of Birmingham, UK). Novel Lignan and Stilbenoid Mixtures Inhibit Cathepsin-K Activity in Dentin. A Tezvergil-Mutluay*, R Seseogullari-Dirihan, E Yatkin, MM Mutluay (Institute of Dentistry, Univ of Turku, Turku, Finland). Multidisciplinary Approach for the Treatment of External Cervical Root Resorption. P. Thanyakoop*, P. Jiradechochai, T. Sripontong (Khon Kaen University, Thailand). Evaluation of Initial Bacterial Adhesion on Zirconia using Artificial-Intelligence (AI). J. Tsoi*, H. Ding, J.Y. Yang, J.P. Matinlinna (University of Hong Kong, Dental Materials Science, Pokfulam, Hong Kong). Interface Created by Self-Adhesive Resin and Sound or Caries-Affected Dentin. Ml Turbino*, PMA Carneiro, CAK Shimokawa (Faculty of Dentistry, University of São Paulo Sao Paulo, Br). Implantology Patents Deposited in Brazil: A Technological Prospection. L.A.R. Valadas* 1, R.D. Oliveira Filho 1, M.A.L. Lotif 1, P.M.F. Serpa 1,C.E.Francischone 2, C.R.Q.Martiniano 1 (1 Federal University of Ceara, Br; 2 University of Sao Paulo, Br). Self-Adhesive Cement Bond Strength to Differently Surface Treated Relined Posts. R.V. Machry*, P.E. Fontana, T.C. Bohrer, O.B. Kaizer, L.F. Valandro (Federal University of Santa Maria, Santa Maria, Brazil). Performance of Self-Adhesive Resin-Cement by Cotton-Wool-Like Nanofibers-Embedded with Niobium. M.M.A.C. Velo* 1, C.K. Scotti 1, T.R.L. Nascimento 2, R.F.L. Mondelli 1, V.D. Silva 2, T.A. Simões 2, E. Medeiros 2, J. Blaker 3, N. Silikas 3 (1 Bauru School of Dentistry, University of São Paulo, Brazil, 2 Federal University of Paraíba, Brazil, 3 University of Manchester, Manchester, UK). Effect of Cranberry on Dentin Subjected to Dental Erosion. M. Vertuan* 1, F.S. Camim 1, J.R. Dokko 1, A. Prakki 2, D. Rios 1, H.M. Honório 1 (1 Bauru School of Dentistry, University of São Paulo, Bauru, Brazil, 2 Restorative Department, University of Toronto, Toronto, Canada). Polymer-Based Material Containing Biogenic Silver Nanoparticles: Conversion and Antibacterial Assay. M.M. Viana* 1, W.R. Rolim 2, A.B. Seabra 2, L.C.C. Boaro 3, L.T.S. Silva 3, R.R. Braga 4, M.C. Rodrigues 1 (1 Cruzeiro Do Sul University, Br, 2 Federal University of ABC, Br, 3 University Santo Amaro, Br 4 University of São Paulo, Br). Flexural Strength of Monolithic Zirconia: Effect of Finishing/Polishing Procedures. T.E.L. Vila-Nova* 1, I.H.G. Carvalho 1, D.M.D. Moura 1, G.M. Araújo 1, A.H. Veríssimo 1, A.B.N. Januário 1, K.B. Souza 1, S.E.G. Silva 1, A.U.D. Batista 2, R.O.A. Souza 1 (1 Department of Dentistry, Federal University of Rio Grande Do Norte, Natal, Brazil, 2 Department of Restorative Dentistry, Federal University of Paraíba, João Pessoa, Brazil). Translucency, Contrast Ratio and Fluorescence of Esthetic Materials. A.E.C. Kauling 1, C.A.M. Volpato* 2, Ó.S.N. Carvalho 3, M.R.C Pereira 3, J.F Güth 1 (1 Department of Prosthetic Dentistry, Ludwig Maximilian University of Munich, Munich, Germany; 2 Department of Dentistry, Federal University of Santa Catarina, Florianópolis, Brazil; 3 Department of Mechanical Engineering, University of Minho Guimarães, Braga, Portugal). Fatigue Resistance of Fiber Reinforced Polymer. H.C. Velho 1, G.K.R. Pereira 2, L.F. Guilardi 3, C. Prochnow 3, A.M.E. Marchionatti 4, P. Baldissara 5, L.F. Valandro 3, J.A. Skupien 1, V.F. Wandscher* 1 (Franciscan University, Br, 2 Imed, Br, 3 Federal University of Santa Maria, Br, 4 Cnec of Santo Angelo, Br, 5 Unibo, It). Erosive, Abrasive and Erosive-Abrasive Challenges: Effect on Ceramic Materials. A.E. Willers*, A.B. Matos, P.F. Cesar, B.T. Da Silva (School of Dentistry, University of São Paulo, São Paulo, Brazil). Dimethyl Sulfoxide Improves Degree of Conversion of Hydrophobic Bonding Agents. G.S. Zabeu* 1, M.A.S. Agulhari 1, M.C. Giacomini 1, J.C. Jacomine 1, P.M.C. Scaffa 1, L. Tjäderhane 2, D.G. Soares 1, R.M. Carvalho 3, L. Wang 1 (1 Bauru School of Dentistry, University of São Paulo, Bauru, Brazil; 2 Institute of Dentistry, University of Oulu and Oulu University Hospital, Oulu, Finland; 3 the Nordic Institute of Dental Materials (Niom), Oslo, Finland). Polycaprolactone Porous Scaffolds Containing Calcium-Silicate and Dicalcium-Phosphate for Jaw Defect. M.G. Gandolfi 1, F. Zamparini* 1, M. Degli Esposti 2, C. Bernardini 3, M. Forni 3, F. Chiellini 4, F.Fava 2, P.Fabbri 2, P.Taddei 5, C.Prati 1 (1 School of Dentistry, Dibinem, University of Bologna, Bologna, Italy, 2 Dicam, University of Bologna, Bologna, Italy, 3 Dimevet, University of Bologna, Bologna, Italy, 4 Dcci, University of Pisa, Pisa, Italy, 5 Biochemistry Unit, Dibinem, University of Bologna, Bologna, Italy). Fatigue Characterization of Yttrium-Stabilized Zirconia Materials for Monolithic Restorations. C.P. Zucuni* 1, A.B. Venturini 1, C.Prochnow 1, C.J. Kleverlaan 2, G.K.R. Pereira 3, L.F. Valandro 1 (1 Federal University of Santa Maria, Santa Maria, Brazil; 2 Academic Centre for Dentistry Amsterdam, University of Amsterdam and Vu University Amsterdam, Amsterdam, the Netherlands; 3 Meridional Faculty Imed, Passo Fundo, Brazil). How sensitive are Glass-Ceramics to Acid Etching Time? LS Rocha *, M Borba, R Ottoni, G Furini, P Benetti (Dental School, University of Passo Fundo, Brazil). Effect of Staining and Ageing on Strength of Y-TZP. K.N. Monteiro*1, L.A. Genova 2, Y.P.Correia 1, S.S. Favero 1, P.F. Cesar 1 (1 University of São Paulo, Brazil, 2 Nuclear and Energy Research Institute, Brazil). Repair Protocols and Cell Viability in CAD/CAM Materials: In Situ. A.H. Veríssimo* 1, D.M.D. Moura 1, A.M.O. Dal Piva 2, A.B.N. Januário 1, T.E.L. Vila-Nova 1, I.H.G. Carvalho 1, G.M. Araújo 1, K.B. Souza 1, S.E.G. Silva 1, R.O.A. Souza 1. (1 Department of Dentistry, Federal University of Rio Grande Do Norte, Natal, Brazil; 2 Department of Dental Materials and Prosthodontics, São Paulo State University, São José Dos Campos, Brazil). Development of Fatigue Methodology for Ultra-Thin Ceramic Laminates. S.S. Favero*, K.N. Monteiro, P. F. Cesar (School of Dentistry, University of São Paulo, Br). Conventional GIC Containing Bioactive Glass: Physical, Mechanical and Microbiological Properties. A.C.B. Mendes* 1, L.M. Marti 1, R.A. Martins 1, L.E. Genaro 1, A.N.S. Rastelli 1, I.G.M. Da Silva 2, R. Advíncula 2, T.S. Porto 2, A.C.C. Zuanon 1. (1 School of Dentistry, São Paulo State University (Unesp), Brazil, 2 Case Western Reserve University, Cleveland, USA). Effect of Different Surface Treatments on Post Bonding. L. Chen 1, M. L. Cannon* 2, R. Wang1, B. I. Suh1 (1 Bisco, Schaumburg, USA 2 Northwestern University, Chicago, USA).